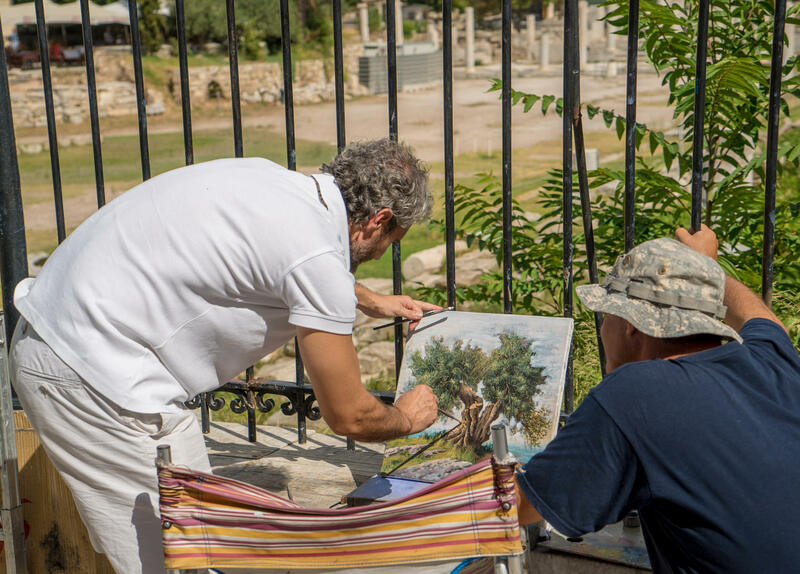 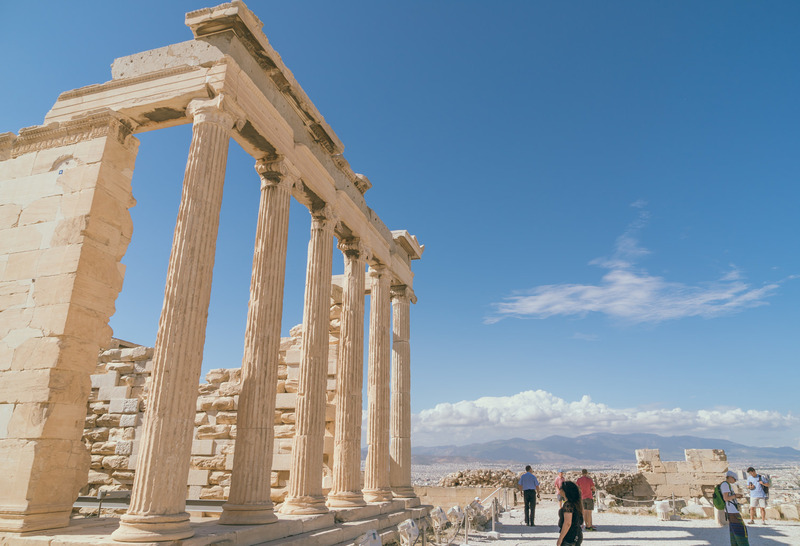 With a recorded history of 3,400 years, it's one of the world's oldest cities. 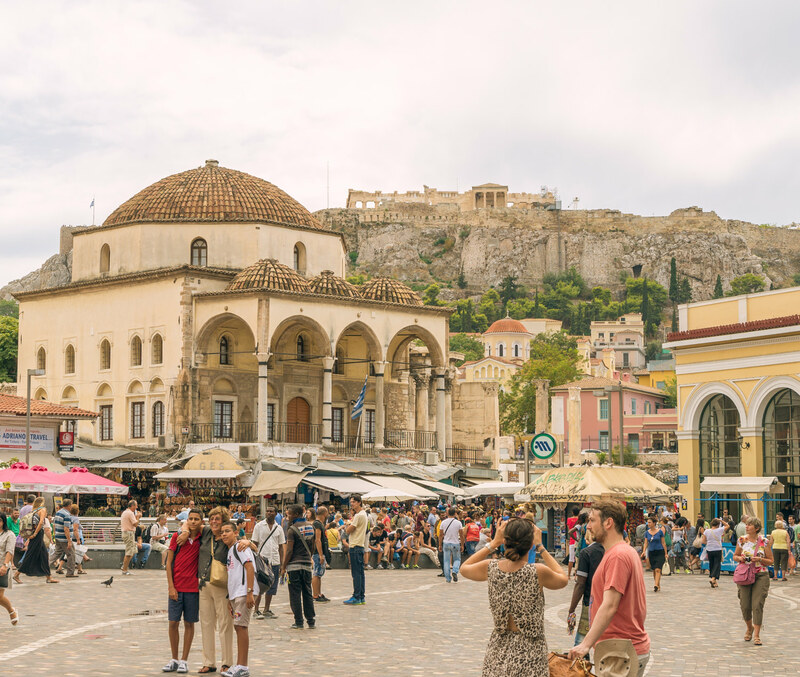 I've visited Athens many times before so I took it slower, relaxed and visited family. 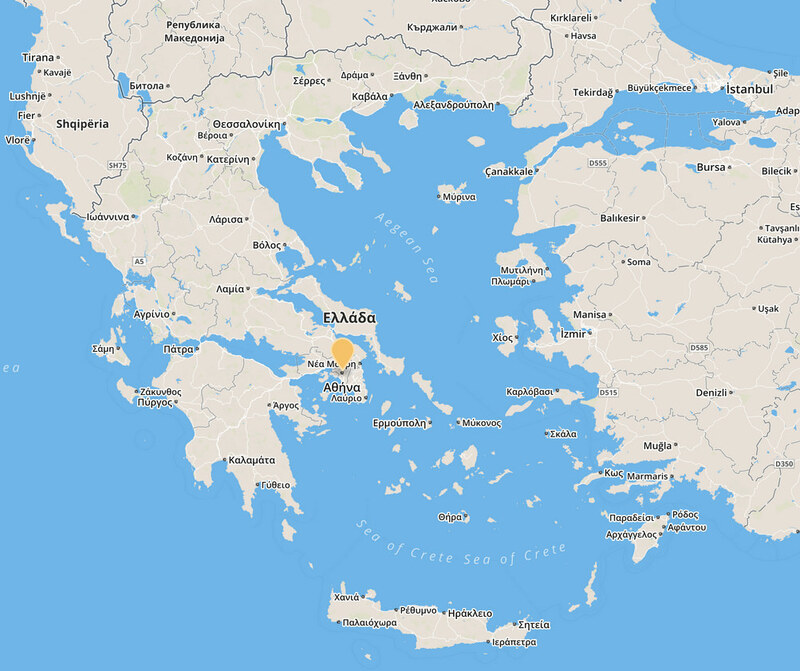 We arrived by ferry at the port city of Piraeus around 9pm. 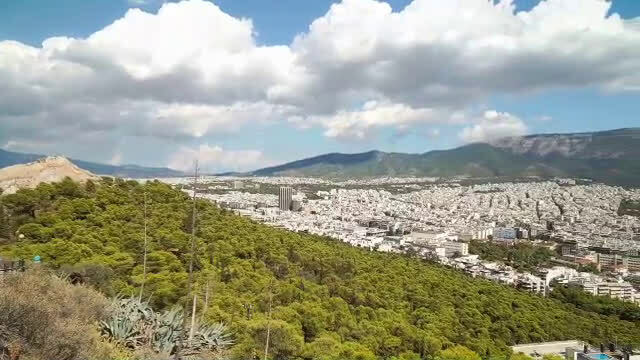 My uncle picked us up and drove us to our home in the Ψυχικό (Psychiko) suburb about 15 minutes northeast of central Athens. 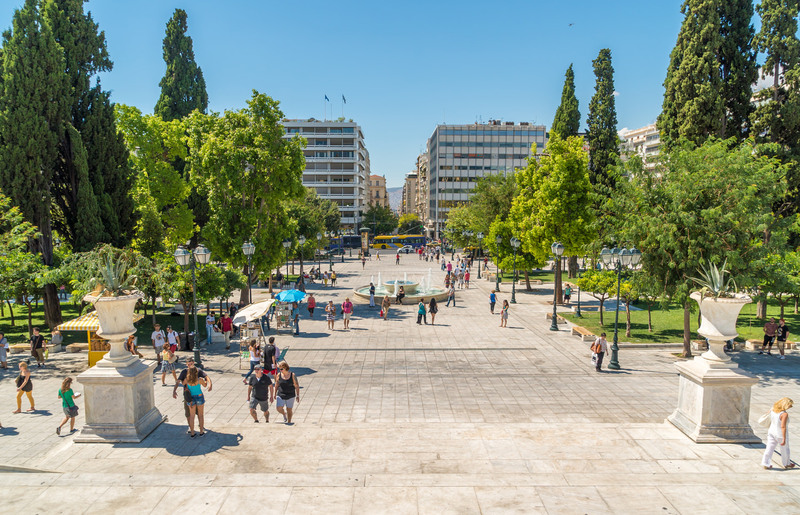 In the morning, we went to Syntagma Square, the Union Square equivalent of Athens. 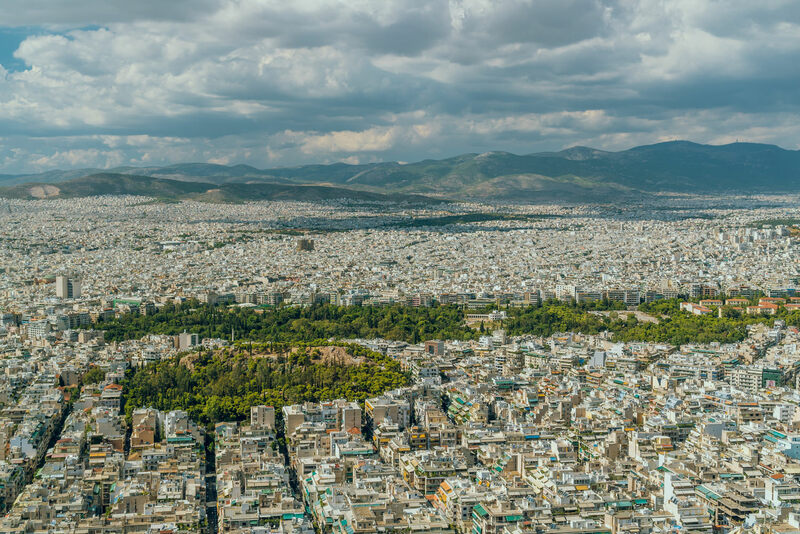 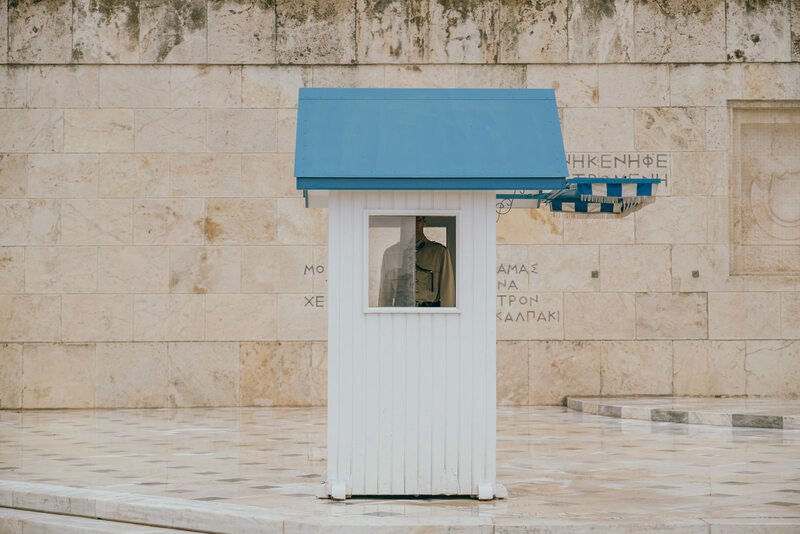 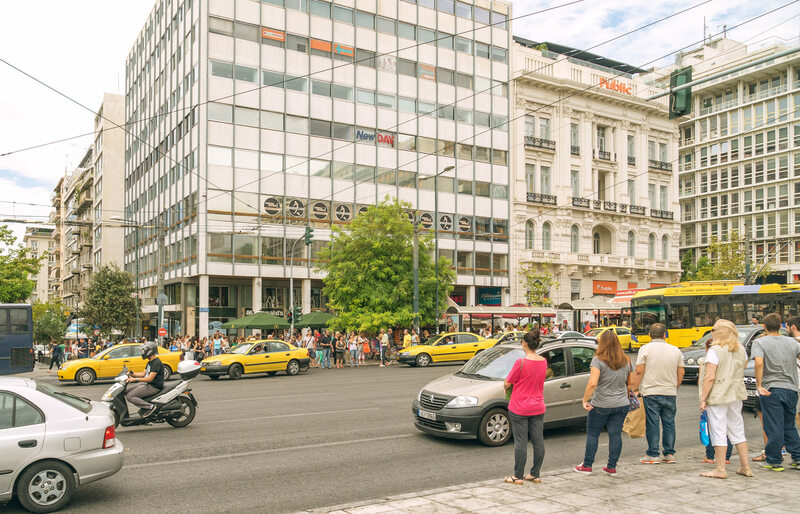 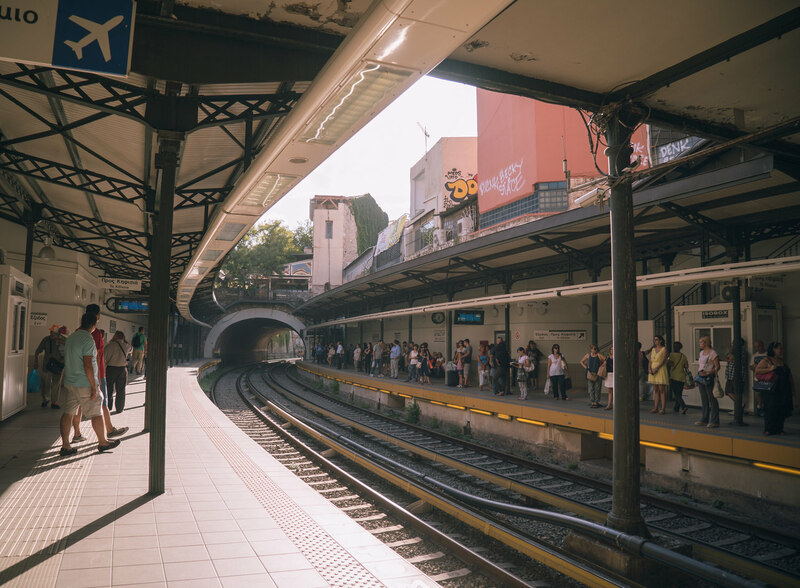 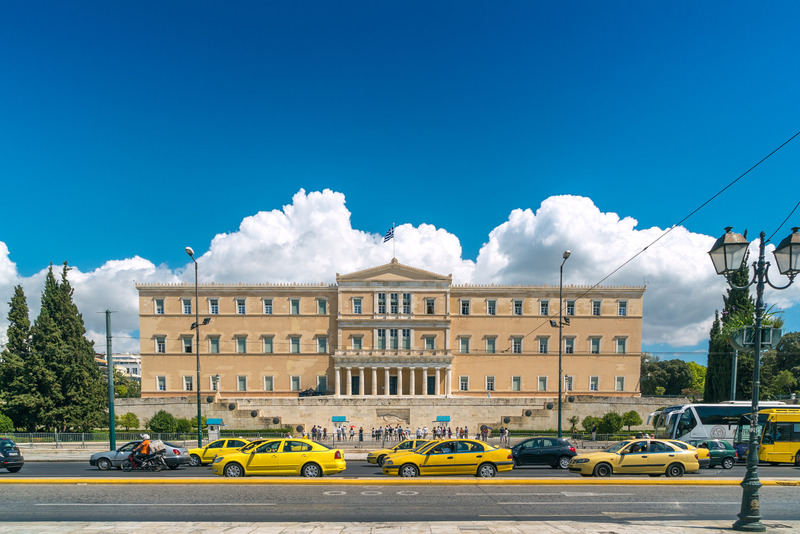 Located next to the Παλαιά Ανάκτορα (Old Royal Palace, the home of Greek Parliament), it's a major transporation hub and shopping district. 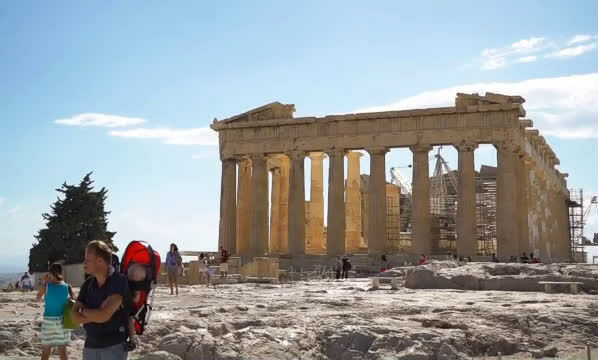 We started there and made our way to the Acropolis. 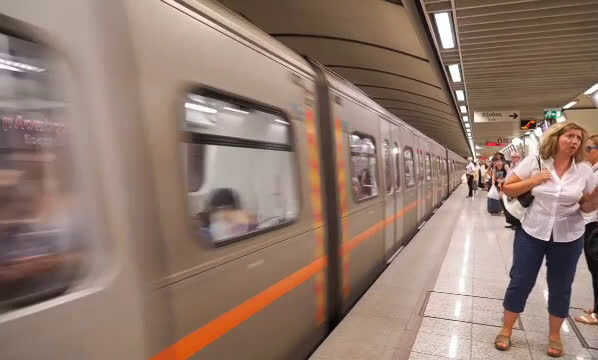 Your browser does not support video playback via HTML5. 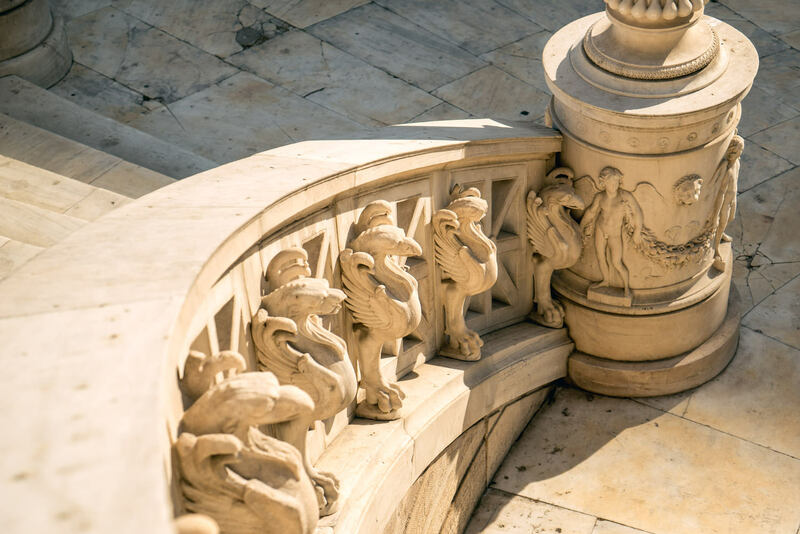 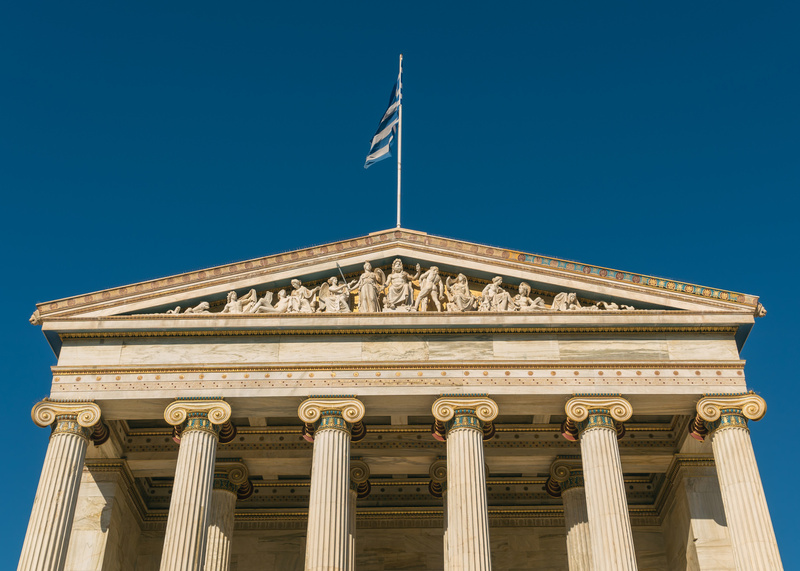 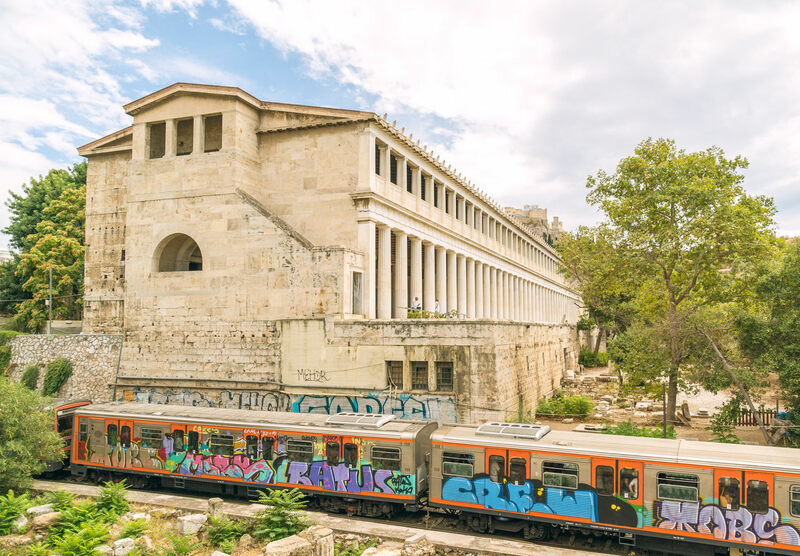 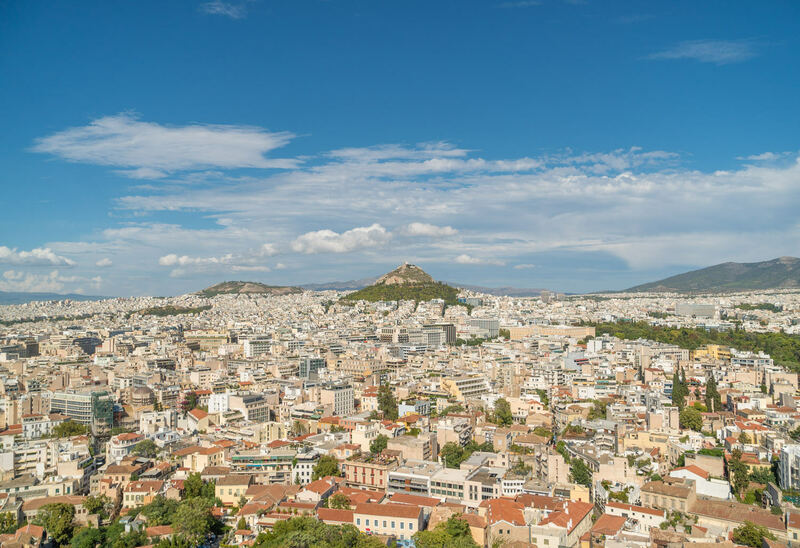 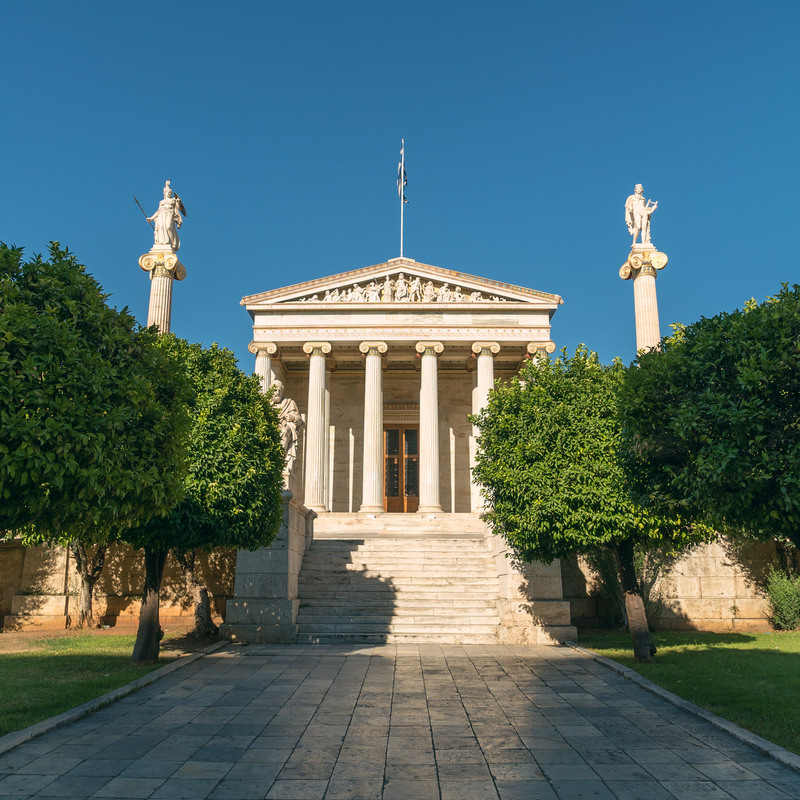 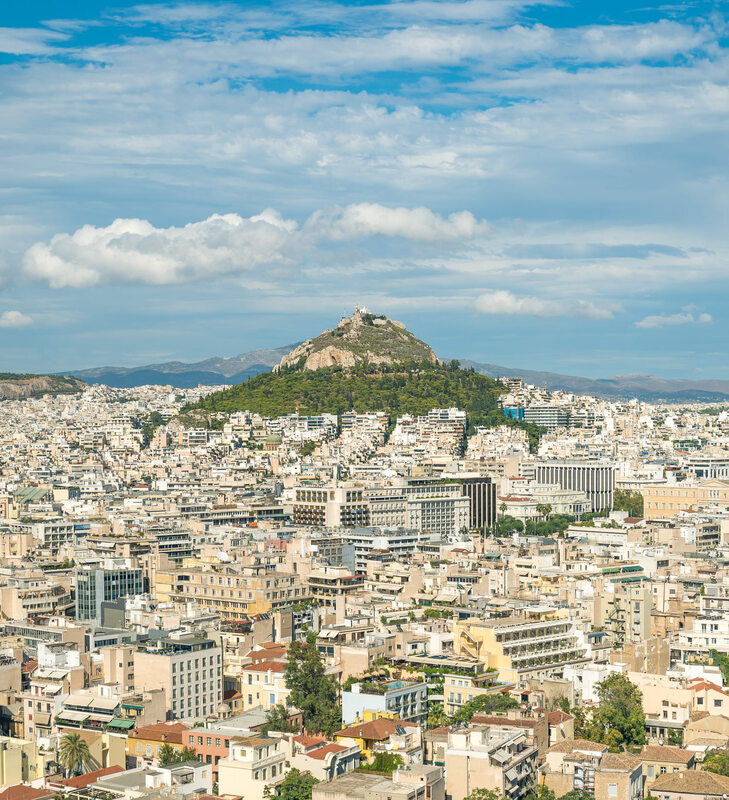 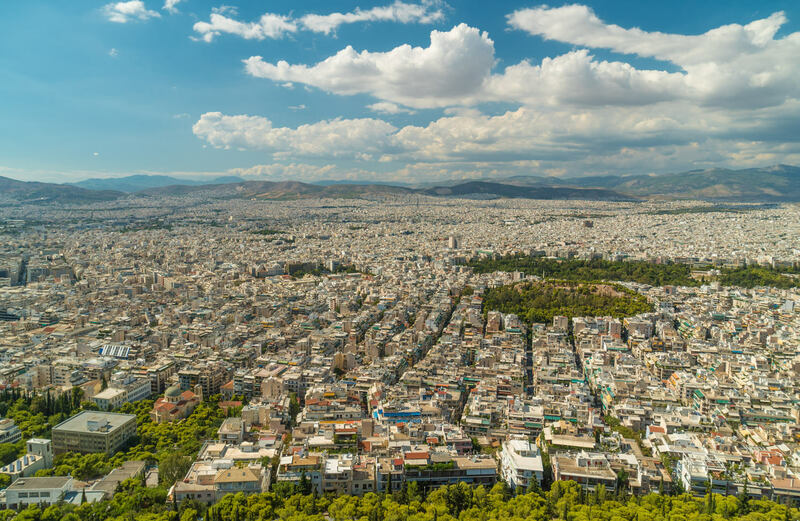 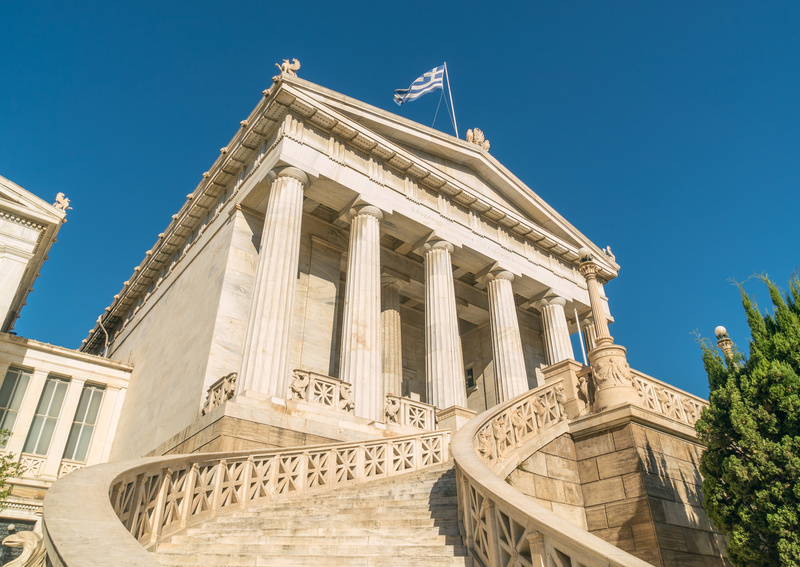 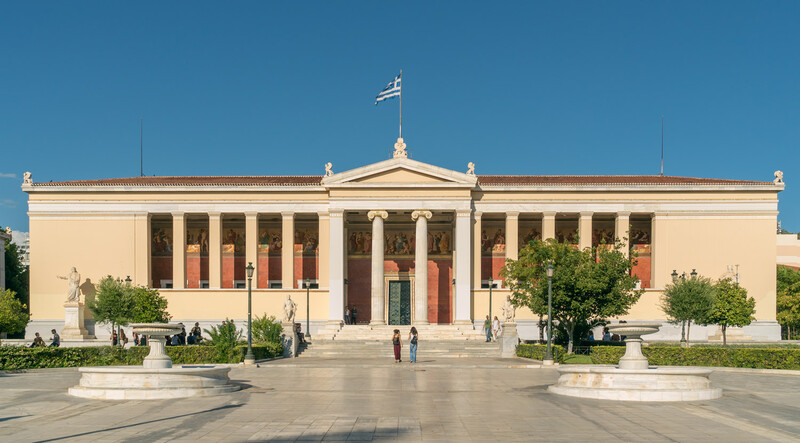 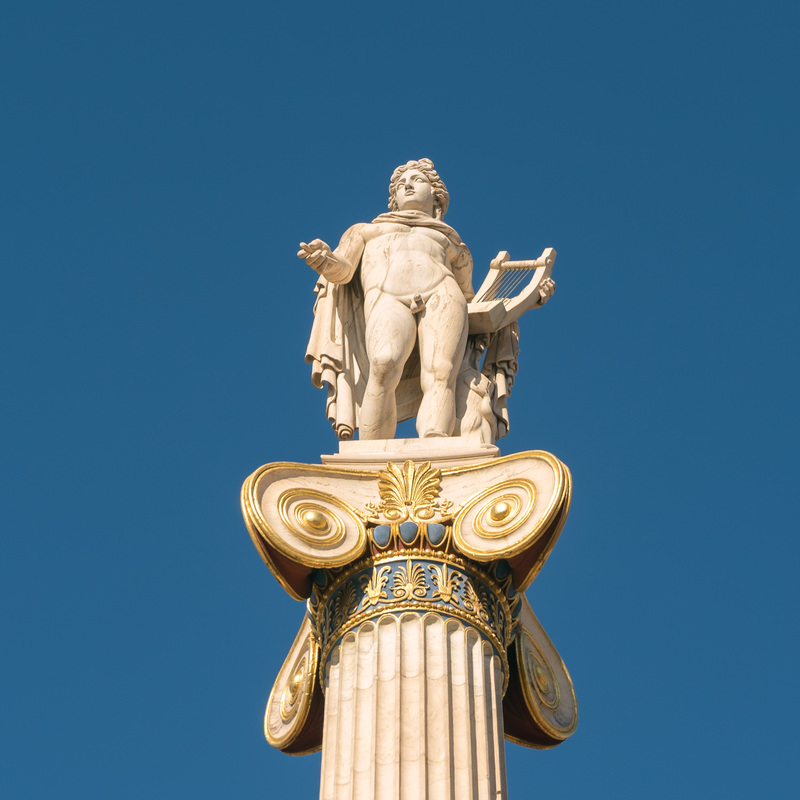 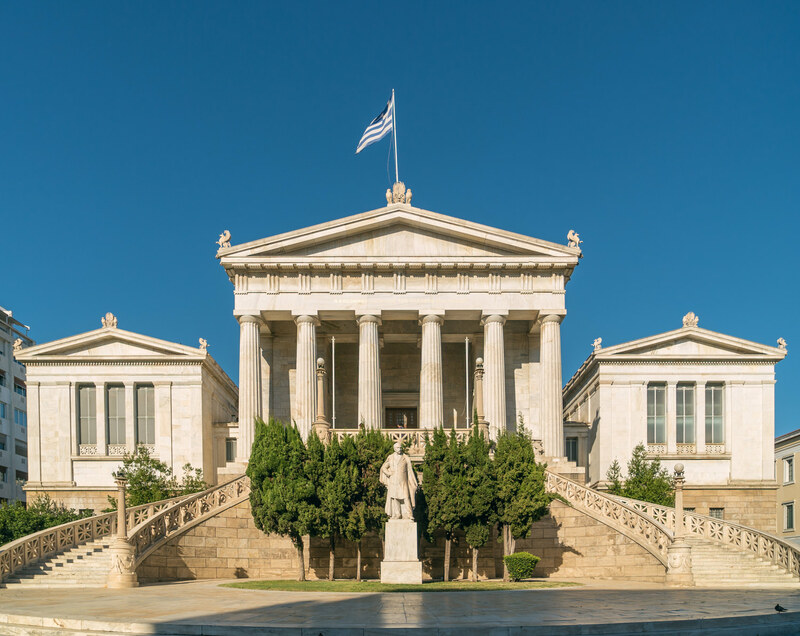 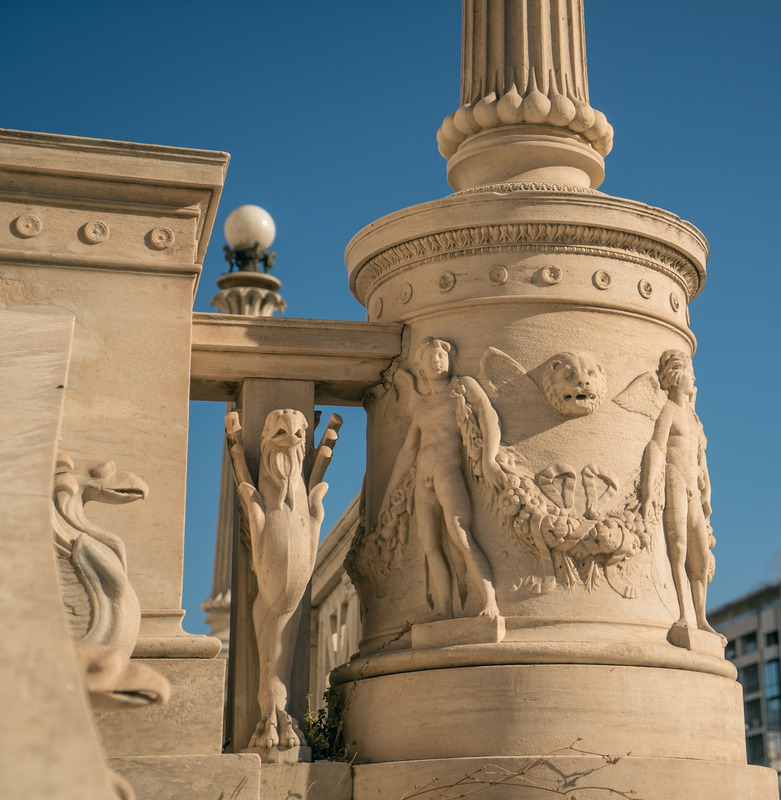 A few blocks from Syntagma Square you'll find three historic buildings: Ακαδημία Αθηνών (Academy of Athens), Εθνικόν και Καποδιστριακόν Πανεπιστήμιον Αθηνών (National and Kapodistrian University of Athens) and the Εθνική Βιβλιοθήκη (National Library of Greece). 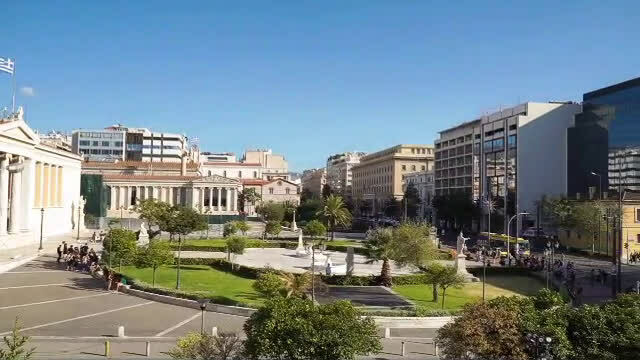 Our long walk took us to Monastiraki Square, which sits in front of Η Εκκλησία της Παντανάσσης (the Church of the Pantanassa) and the flea markets of the neighborhood. 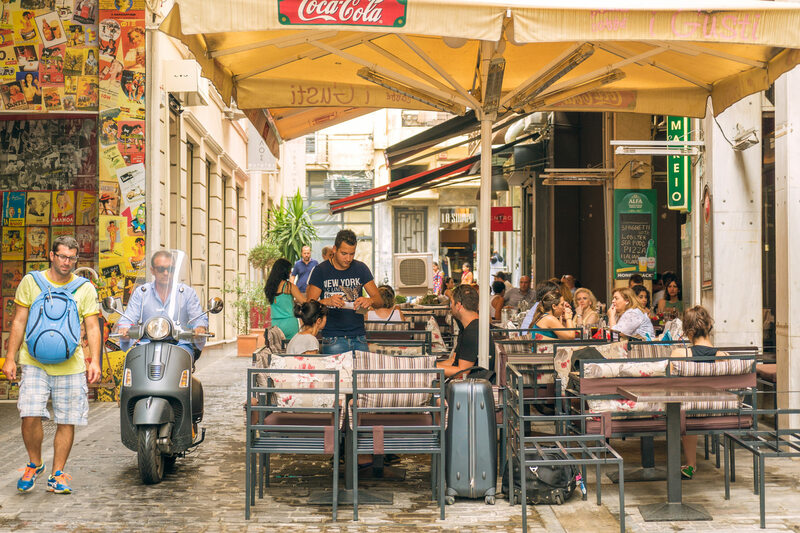 A few streets over we had a late lunch at an Italian restaurant — after two weeks of Greek food you want to mix it up a bit. 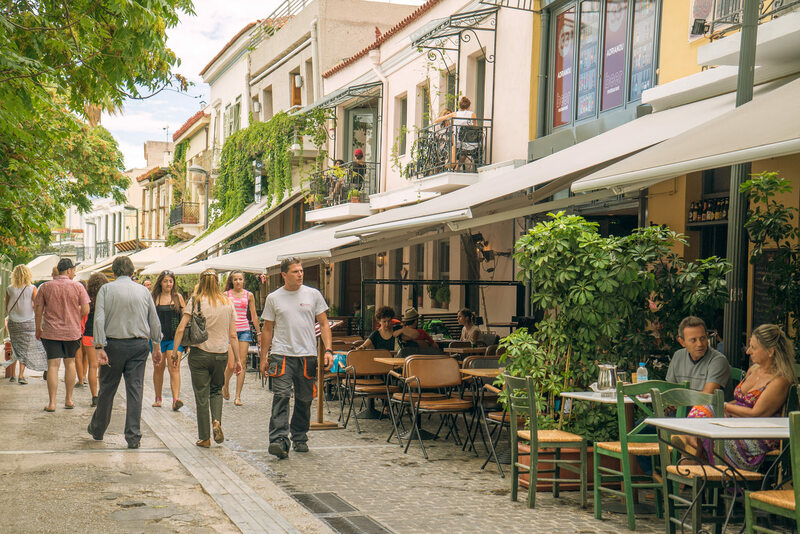 The streets were lined with small restaurants and cafes with people enjoying a leisurely afternoon. 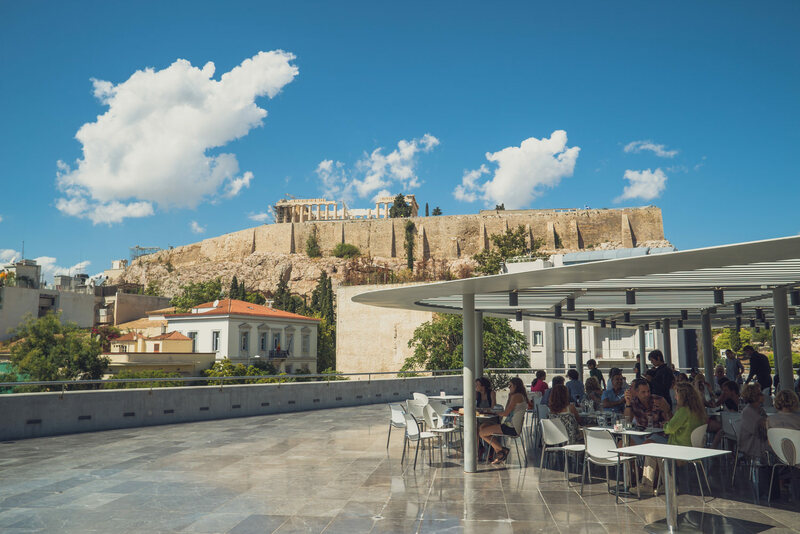 I joked many times on this trip with my sister that we spent most of our time at restaurants waiting to get the λογαριασμό (bill). 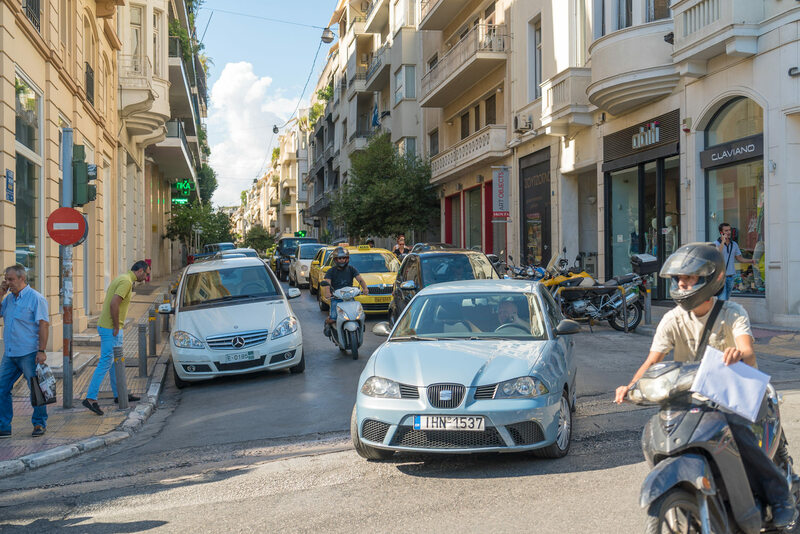 In Greece there's absolutely no rush to get you out the door. 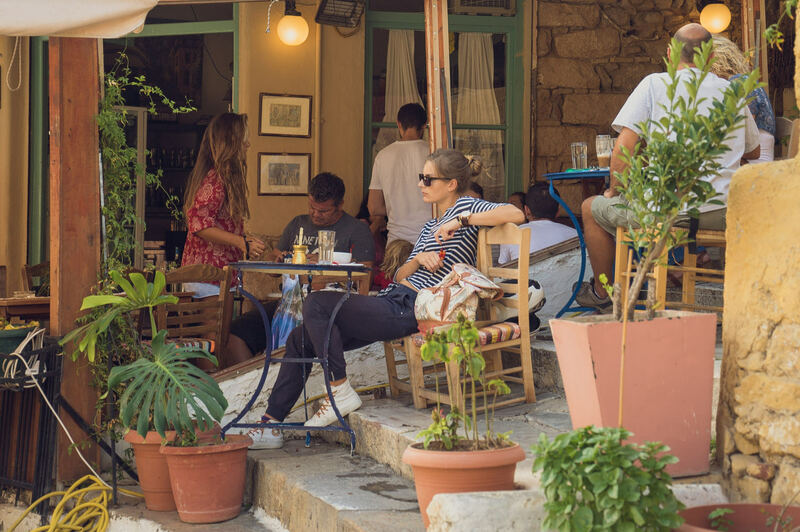 Once while in Folegandros we asked for the check apparently too quickly and they were confused, thinking something was wrong with the meal. 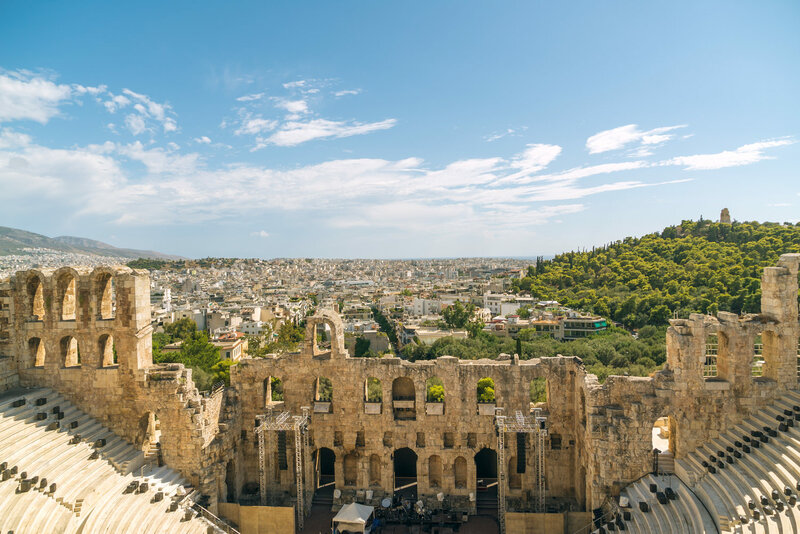 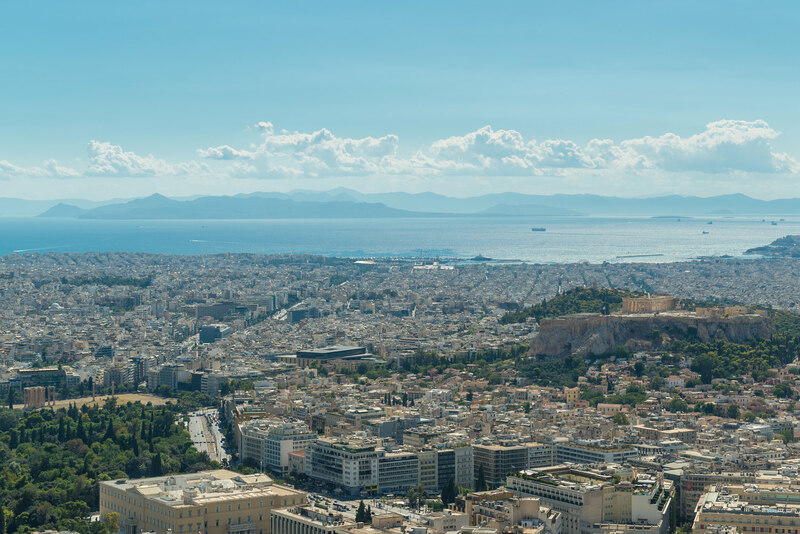 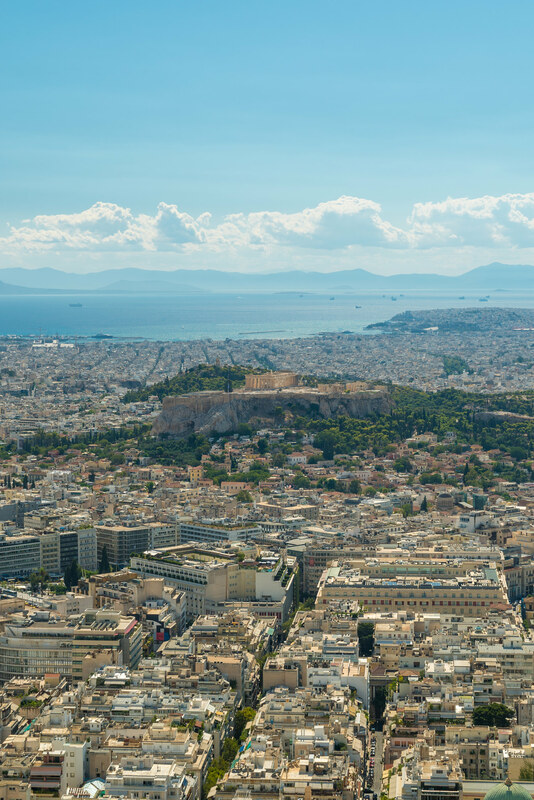 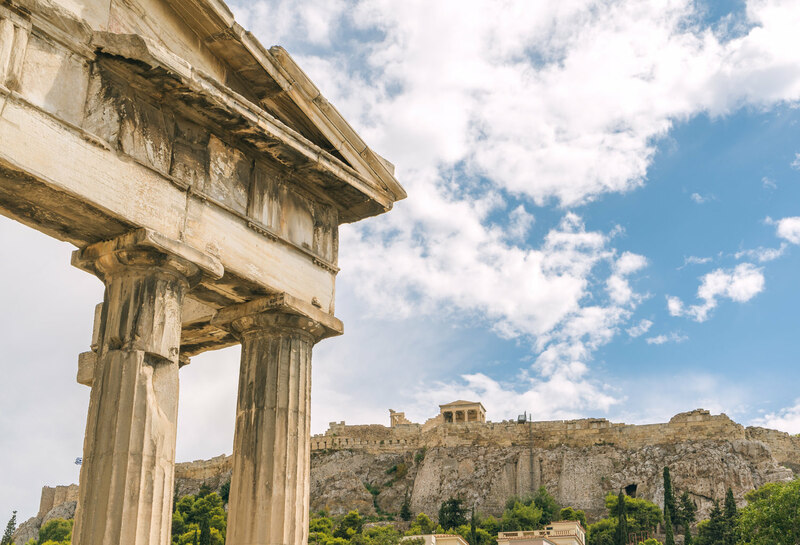 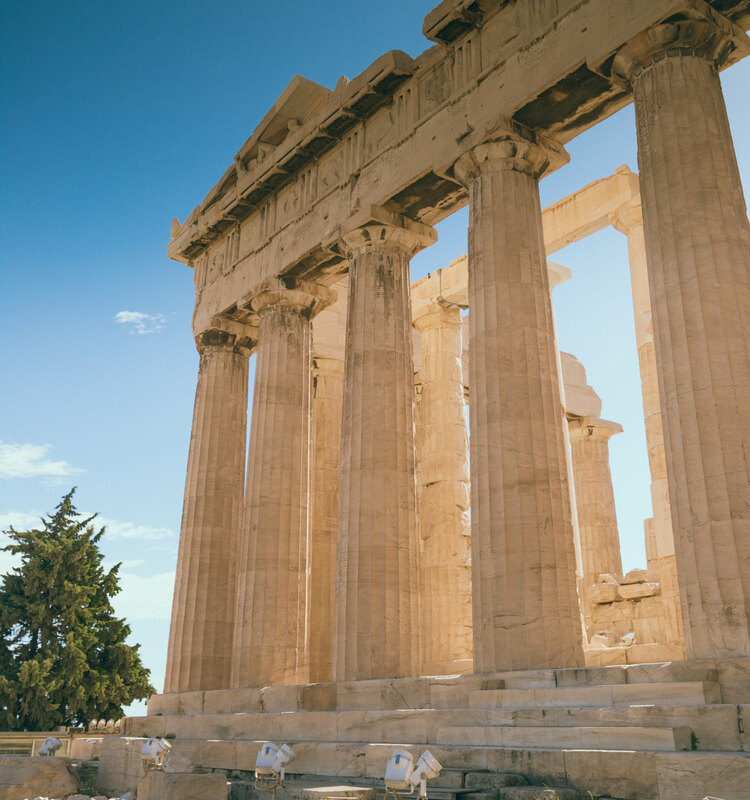 A visit to Athens would not be complete without a trip to the Acropolis of Athens, home of the Parthenon. 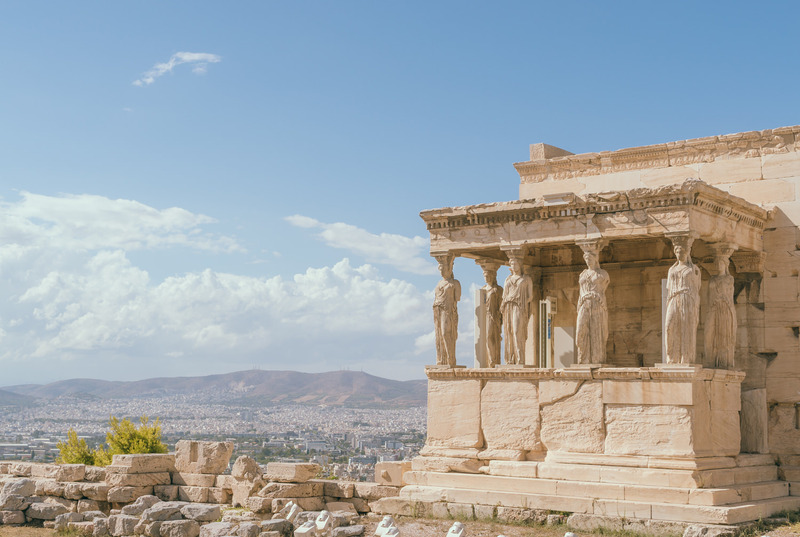 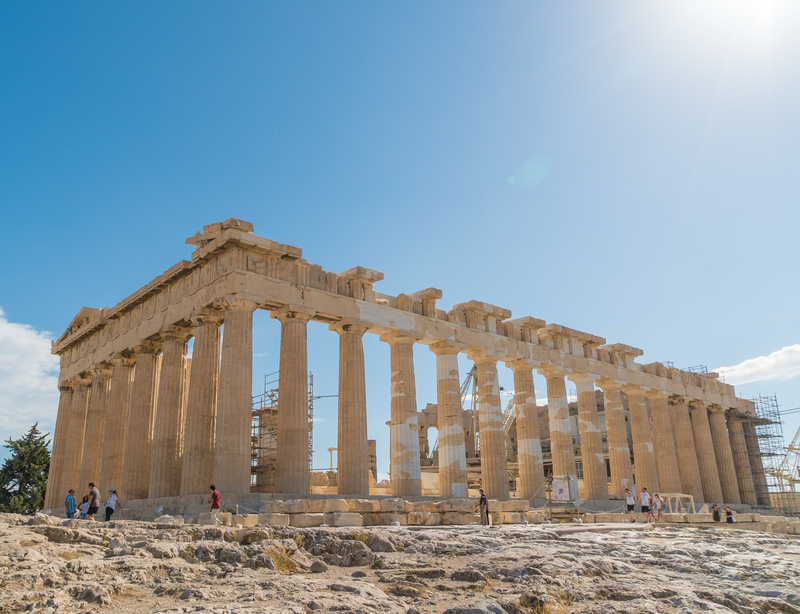 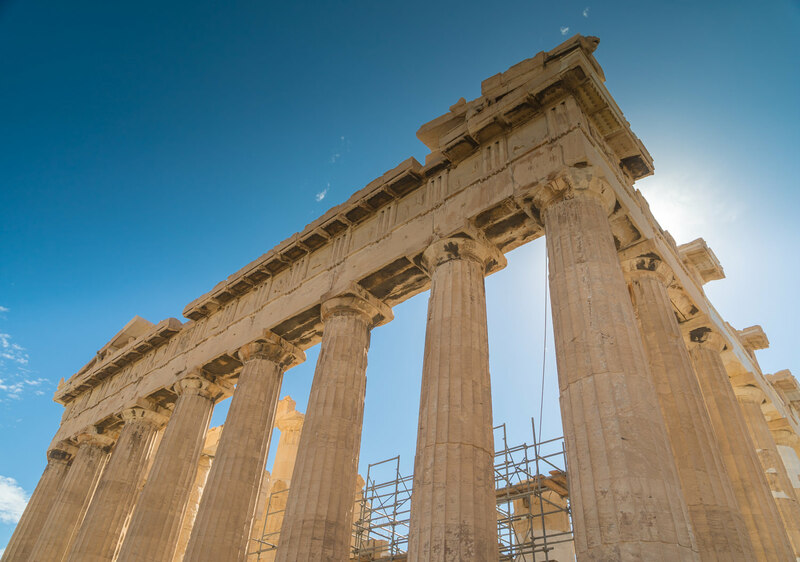 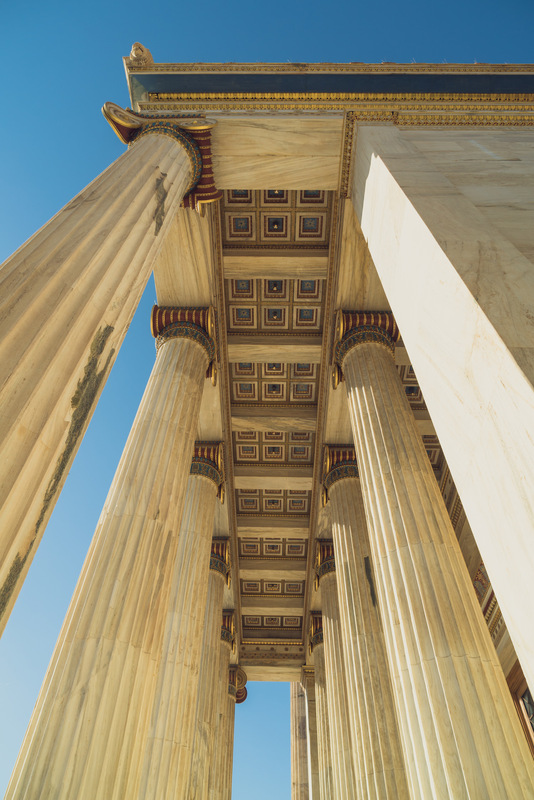 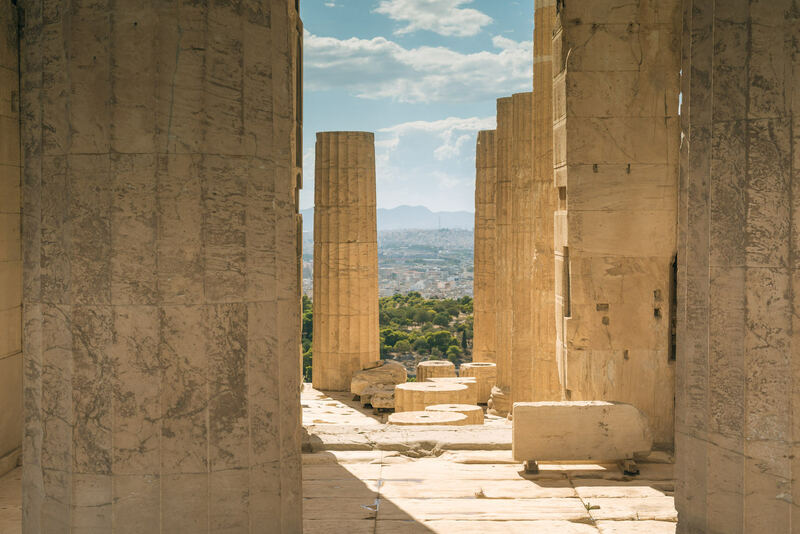 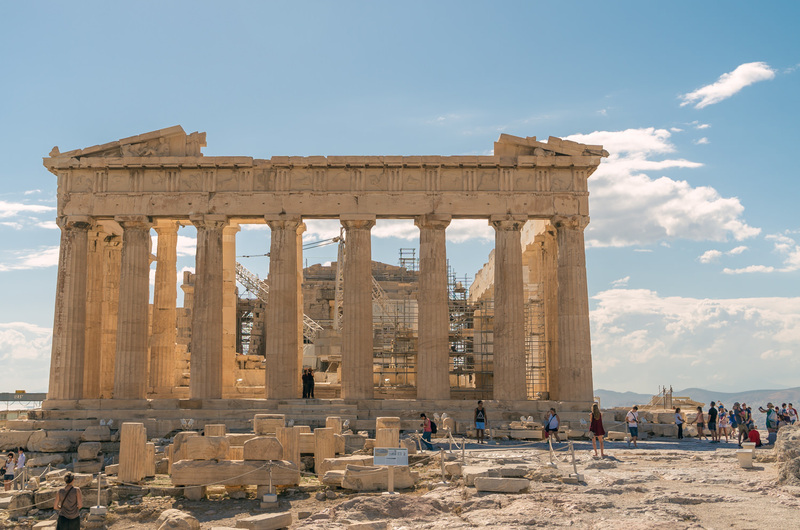 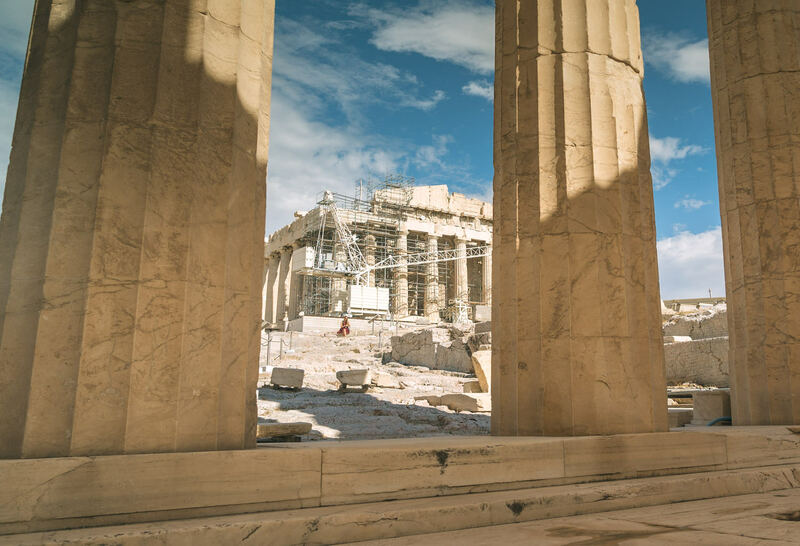 Constructed in 438 BC, the famous Parthenon was dedicated to goddess Athena. 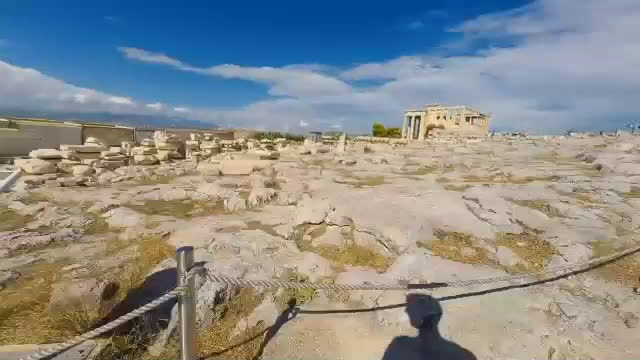 By this time we had been in the sun for hours. 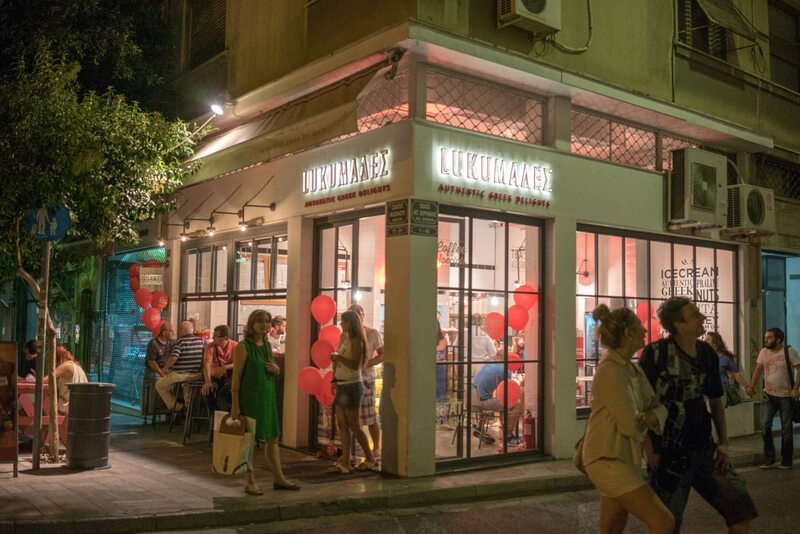 We swung by a kafeneio nearby in Θησείο (Thiseio) to enjoy the breeze, the sights and some limonada before taking the metro back home. 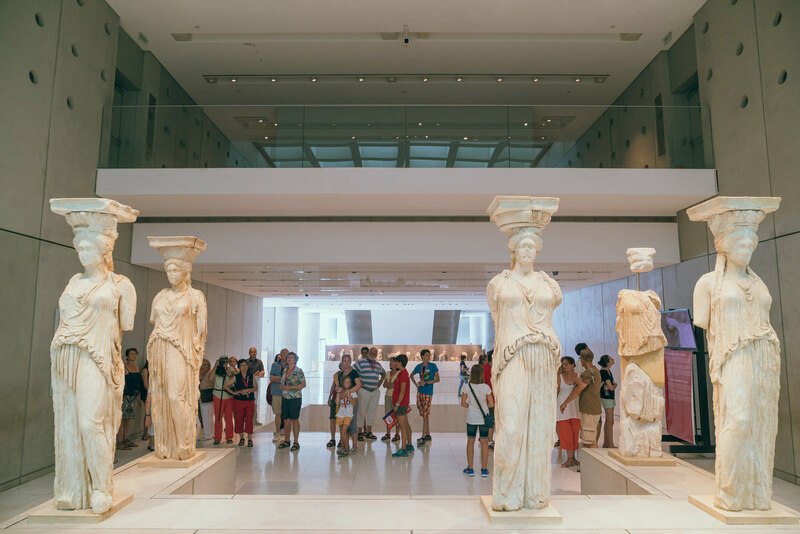 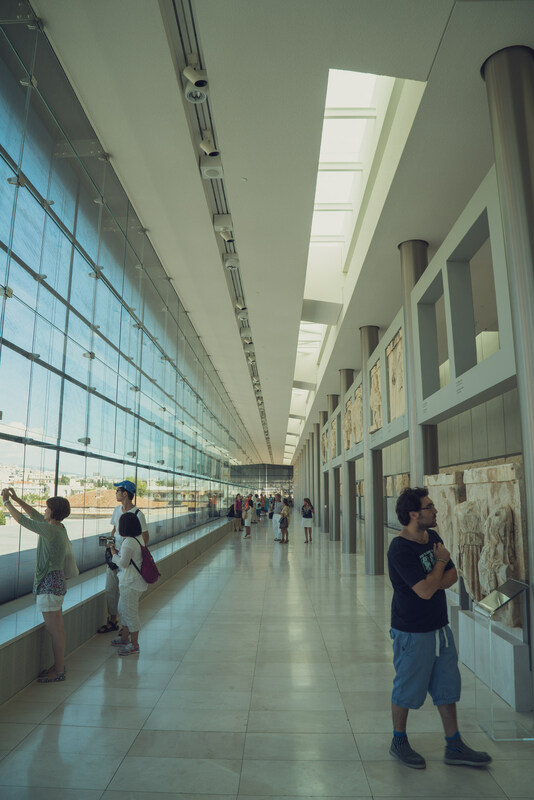 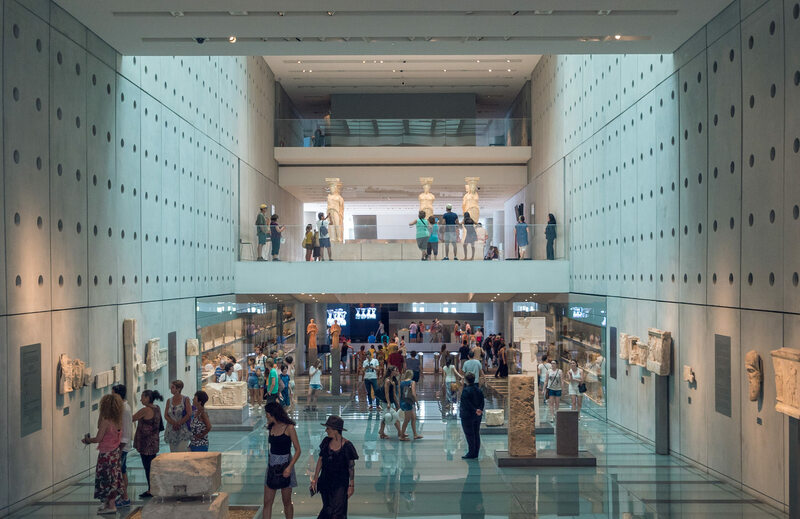 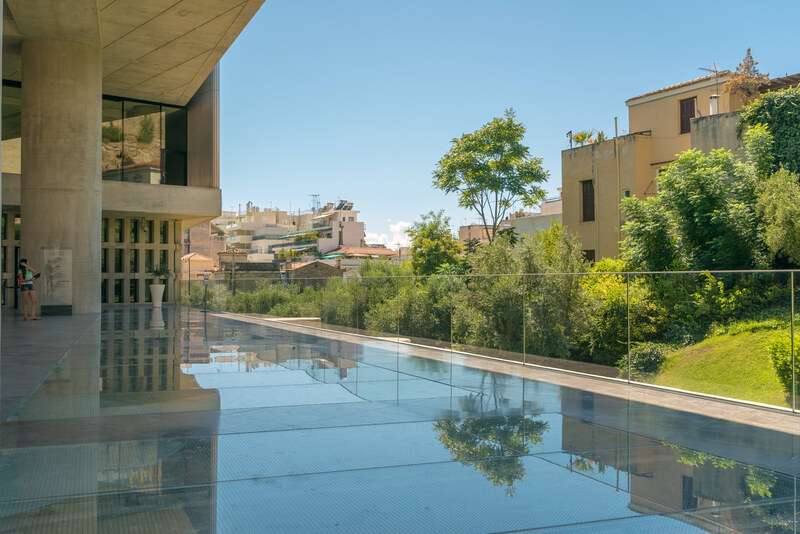 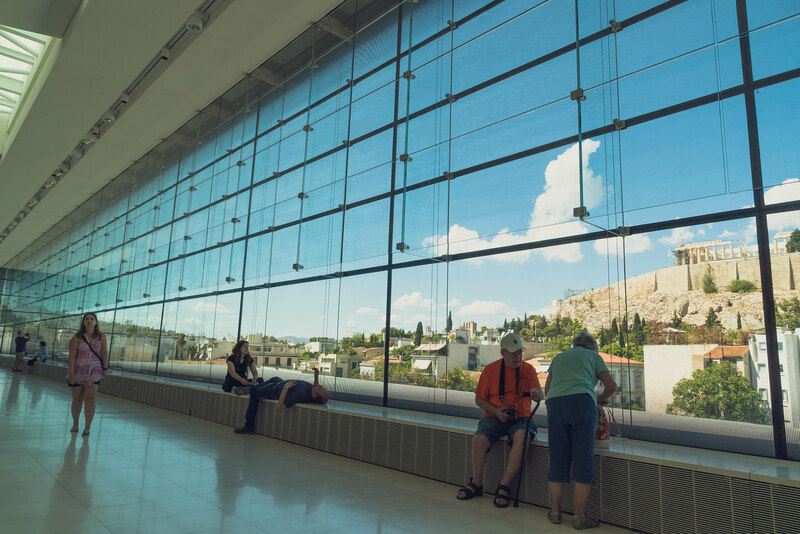 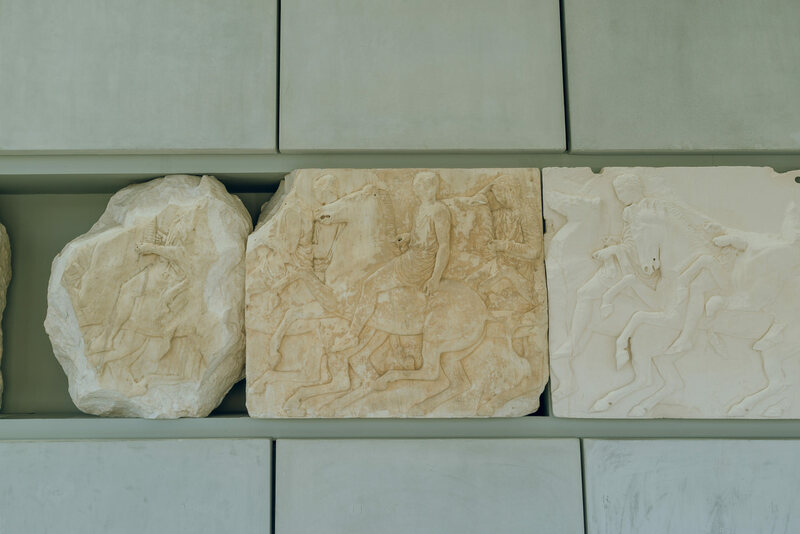 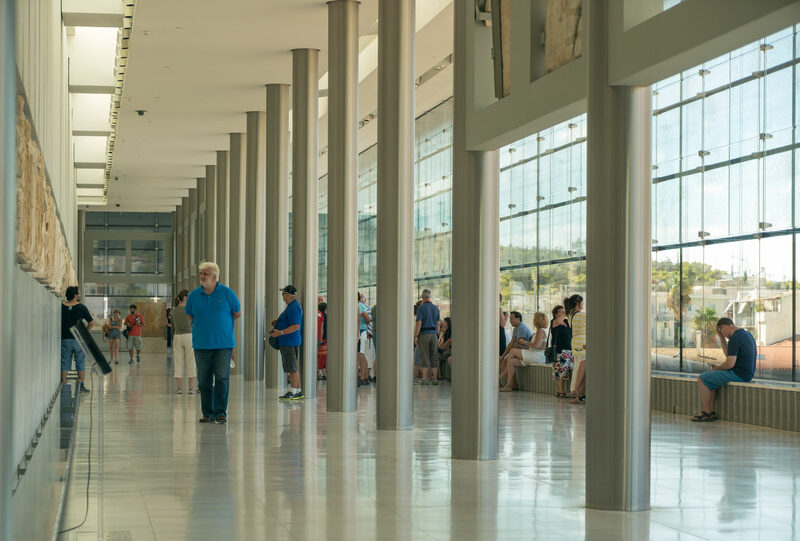 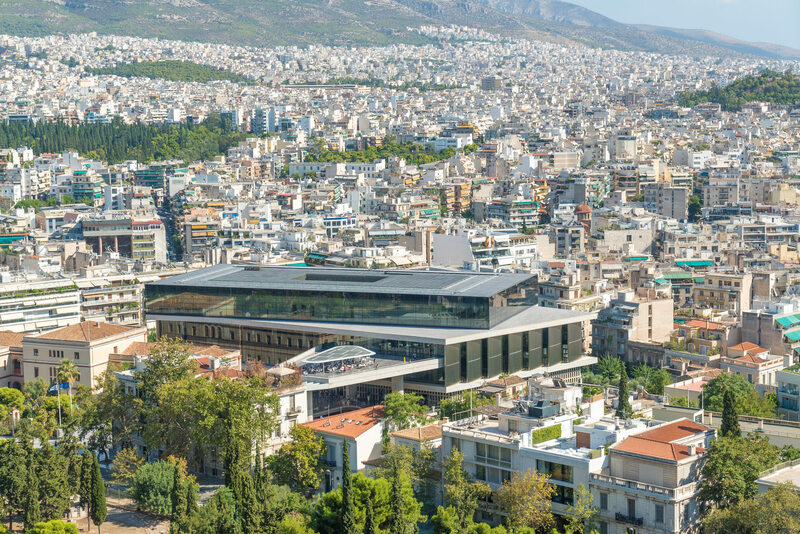 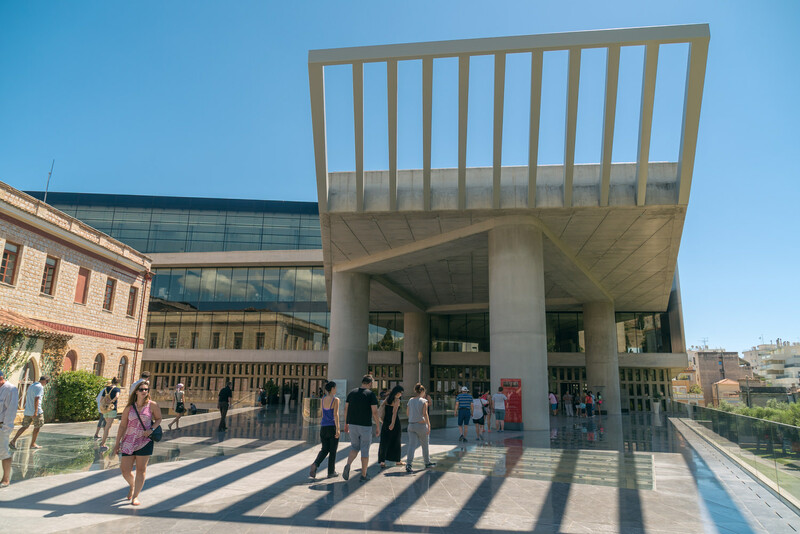 Opened in 2009, the Acropolis Museum is devoted to the Athenian Acropolis and houses close to 4,000 artifacts ranging from the Greek Bronze Age to Byzantine Greece. 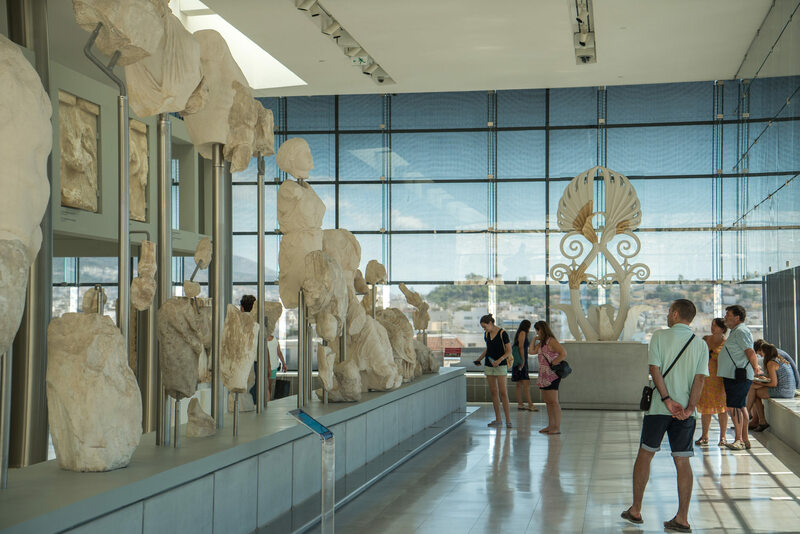 Everything about the museum is in reference to the Acropolis, from the orientation of the top floor to the number of columns used to outline the ancient Parthenon. 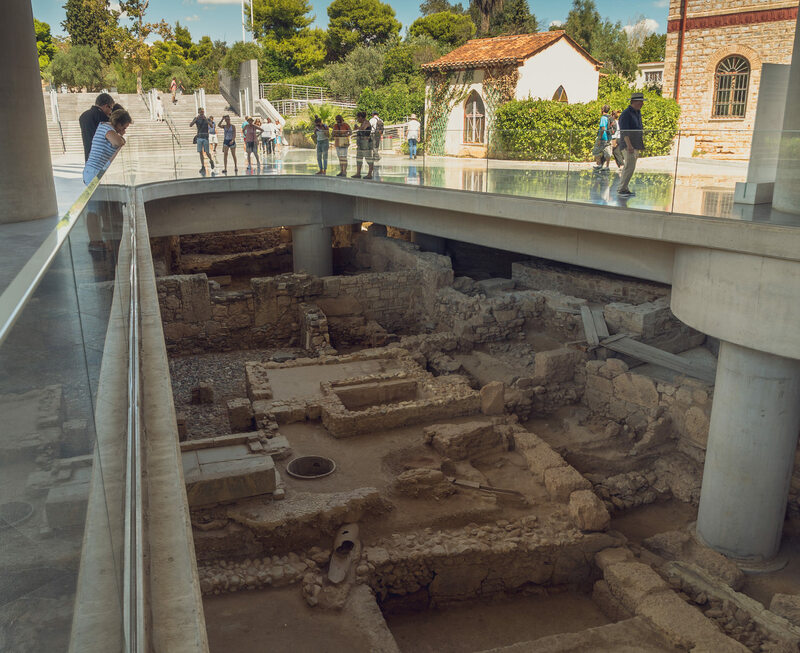 The museum is positioned on top of the Makrygianni archaeological site and glass floors allow visitors to see the ruins below. 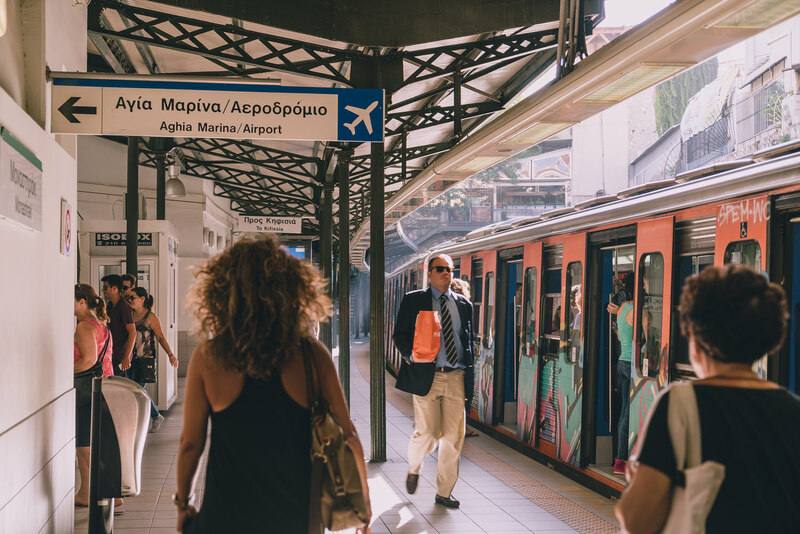 Afterwards we took the metro to Kolonaki, a wealthy shopping district in central Athens. 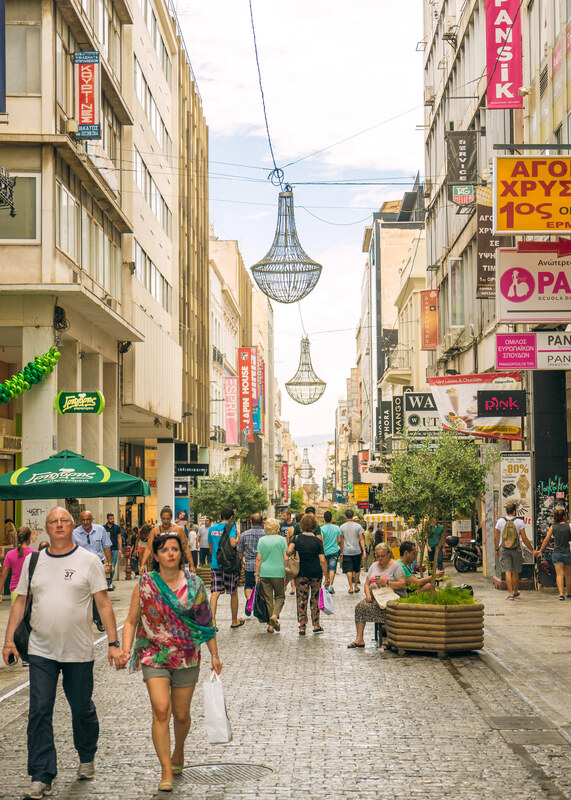 My sister wanted to pick up some gifts and I wanted to find some free Wi-Fi as I had eaten through my data plan over 5 times through at this point. 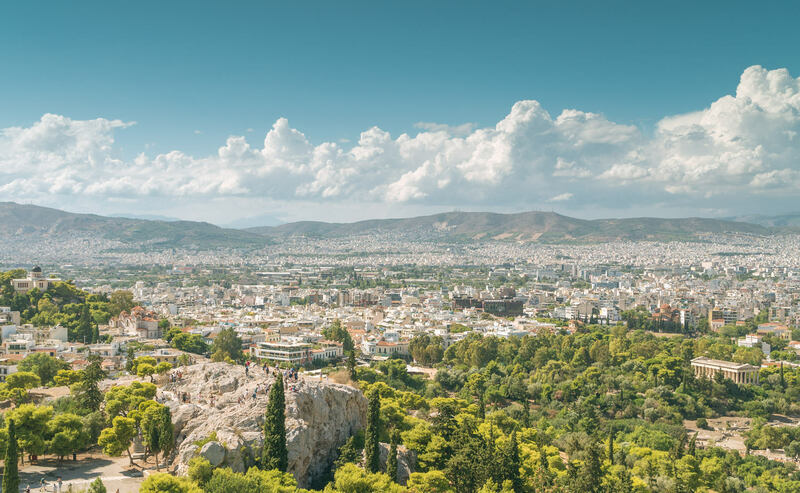 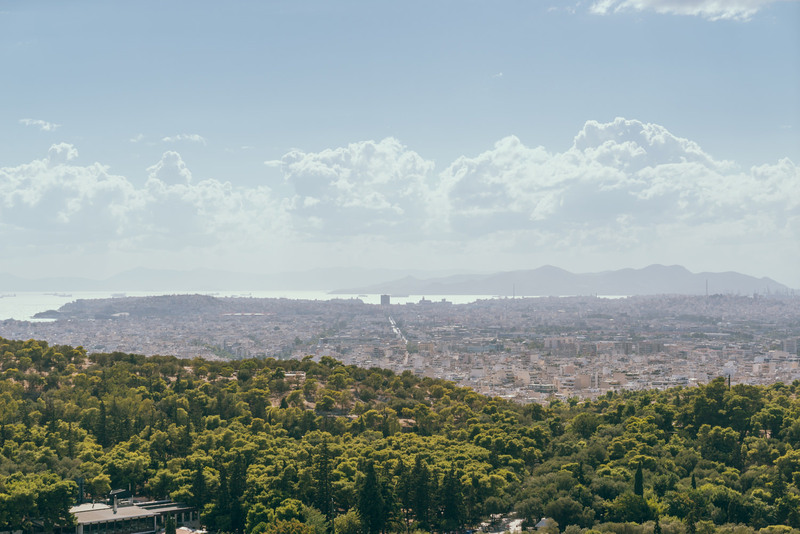 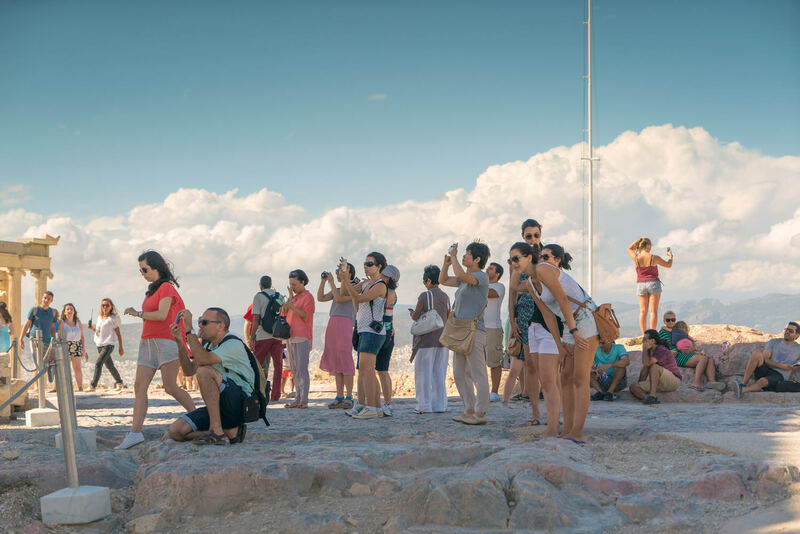 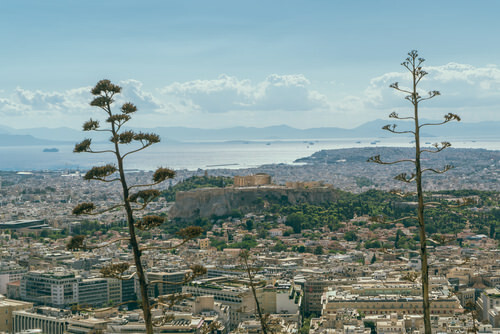 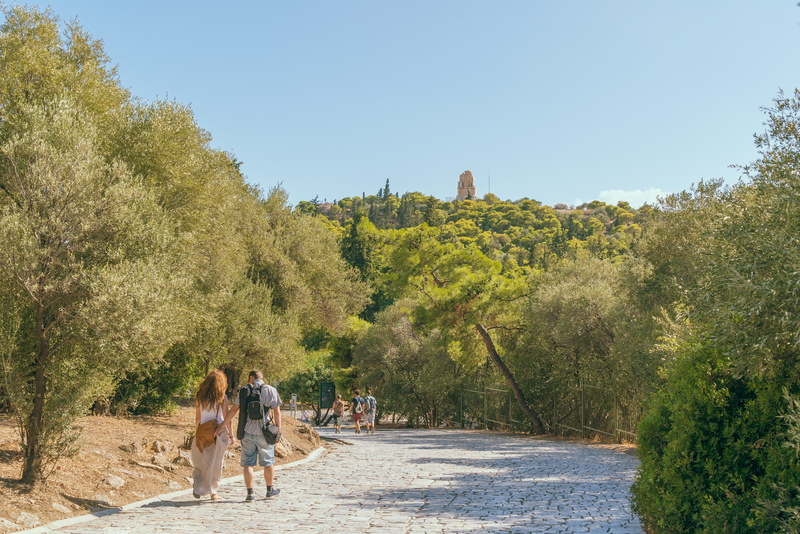 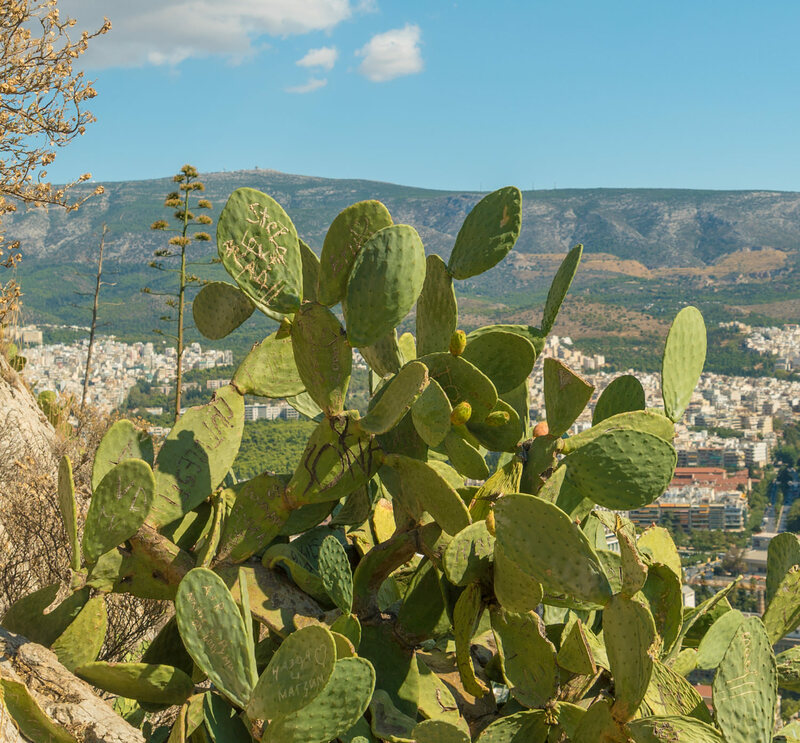 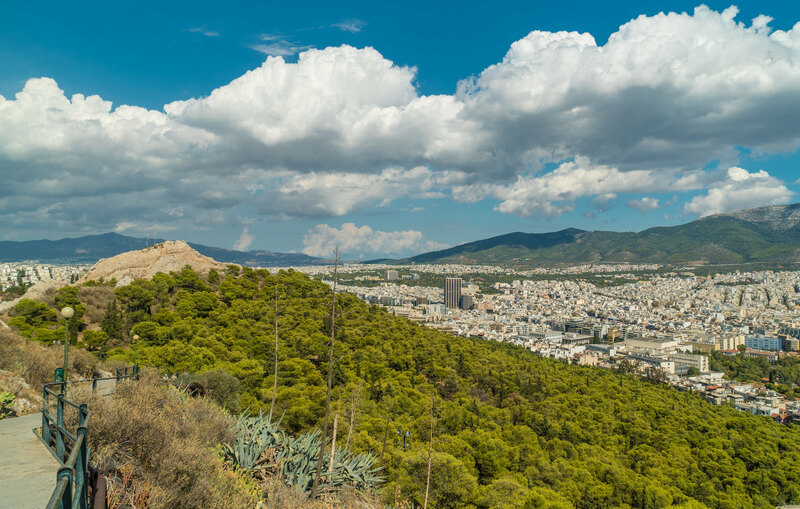 Mount Lykavittos is the highest peak in Athens, providing a stunning view of Athens including the Panathenaic Stadium and Acropolis. 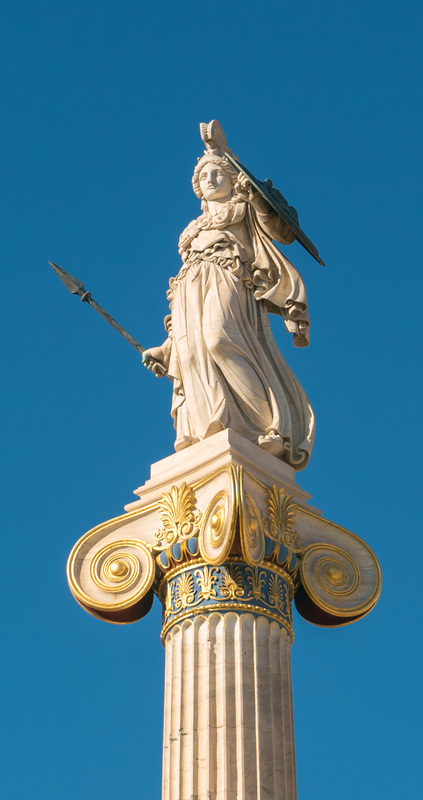 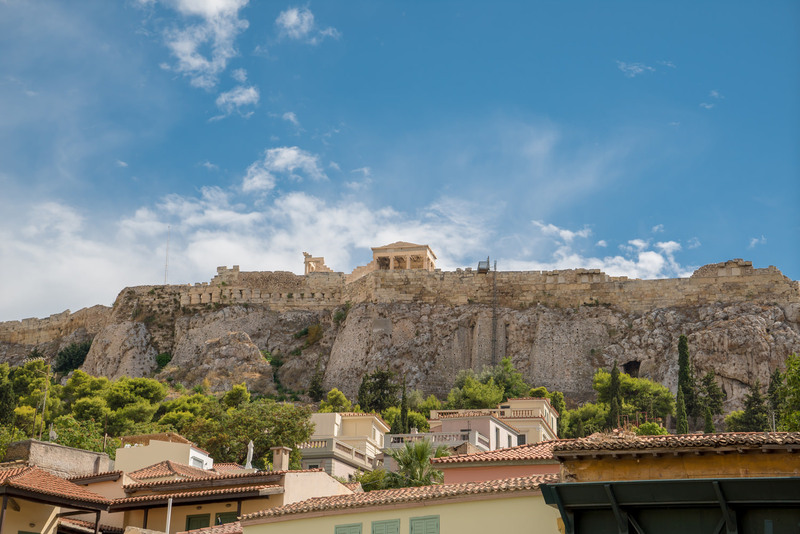 According to Greek mythology, it was created when Athena dropped a mountain she was carrying for the purpose of building the Acropolis. 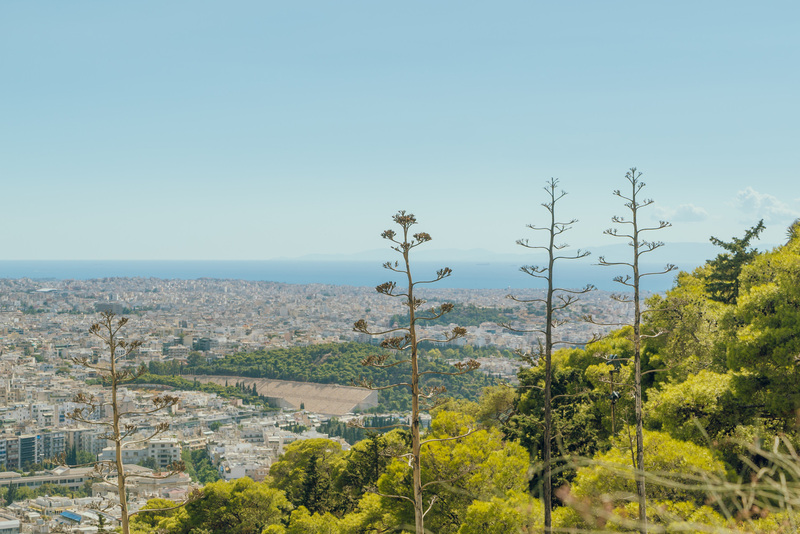 Greeks love putting chapels atop mountains and hills, so of course you'll find one here too. 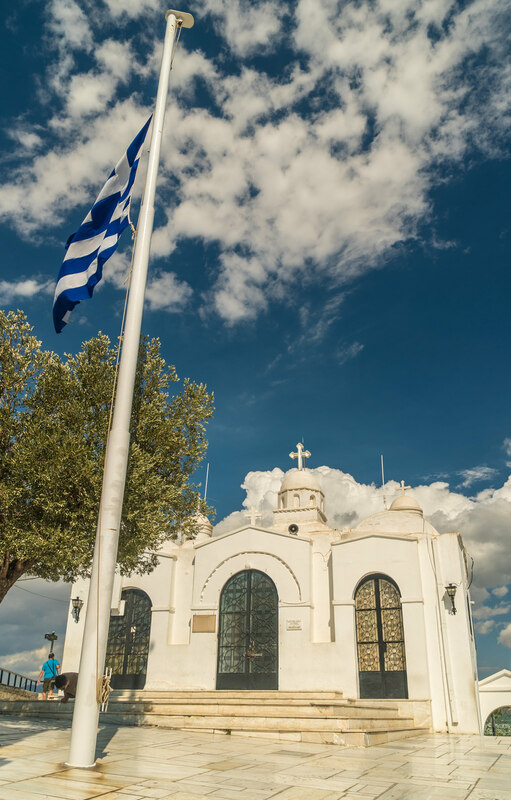 It's the Chapel of Άγιος Γεώργιος (St. George). 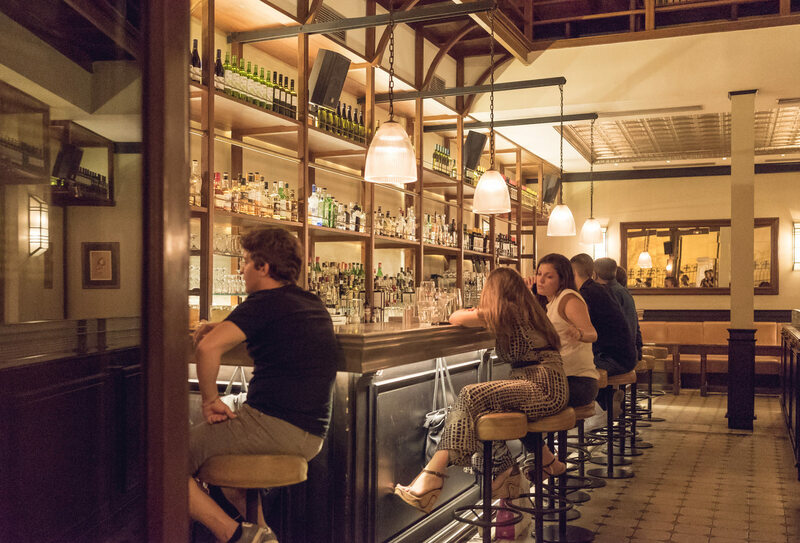 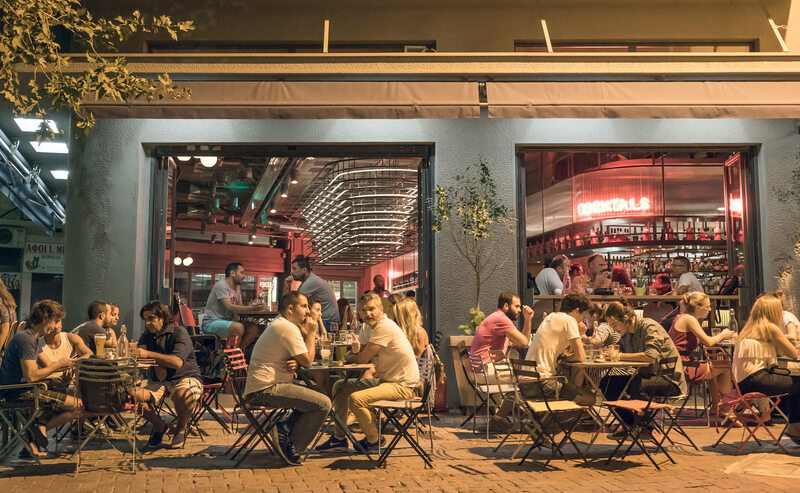 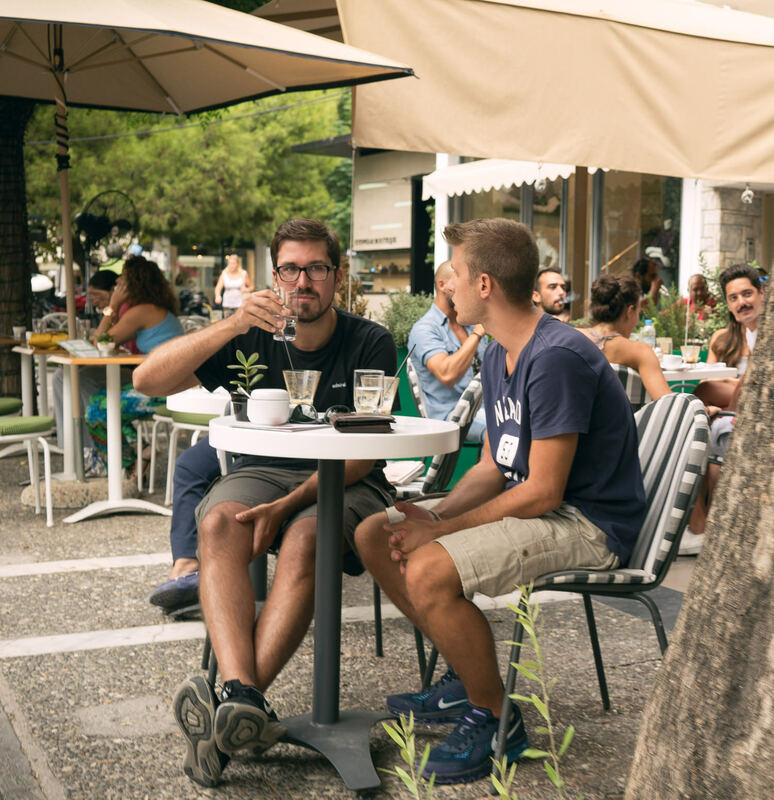 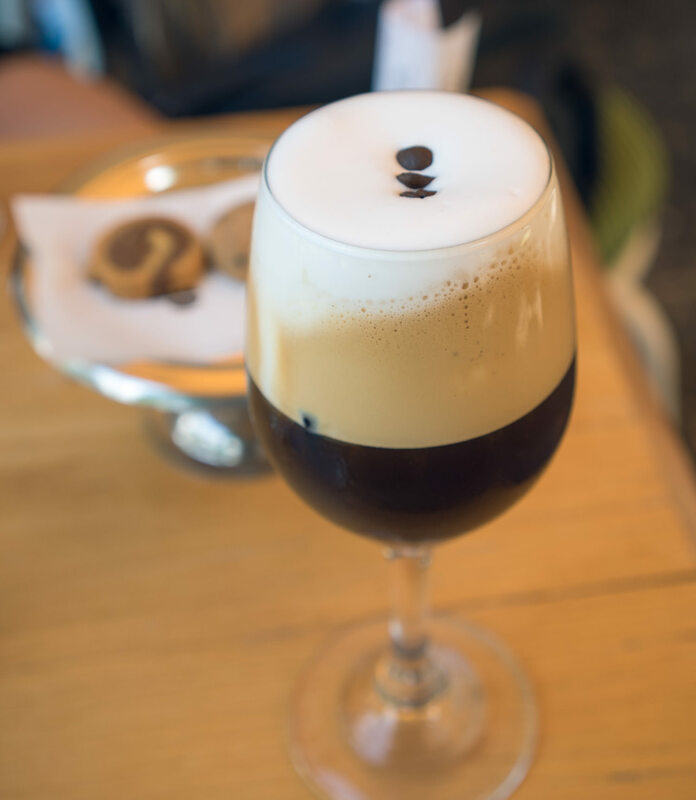 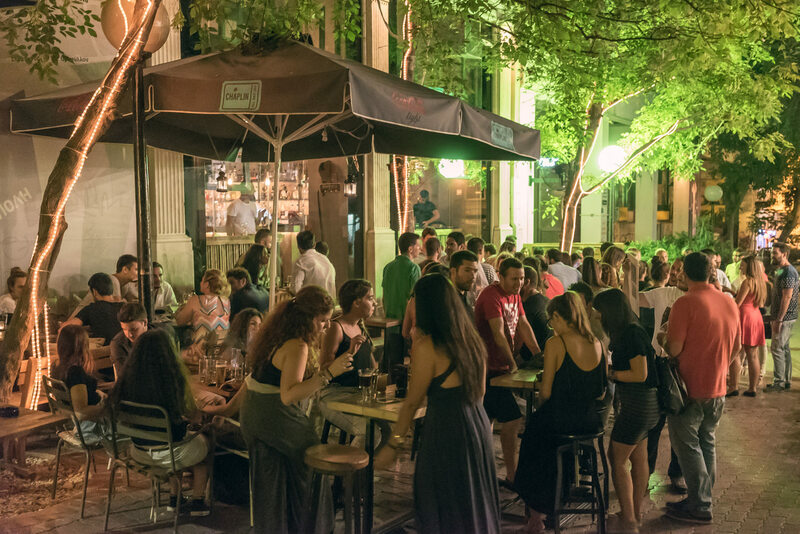 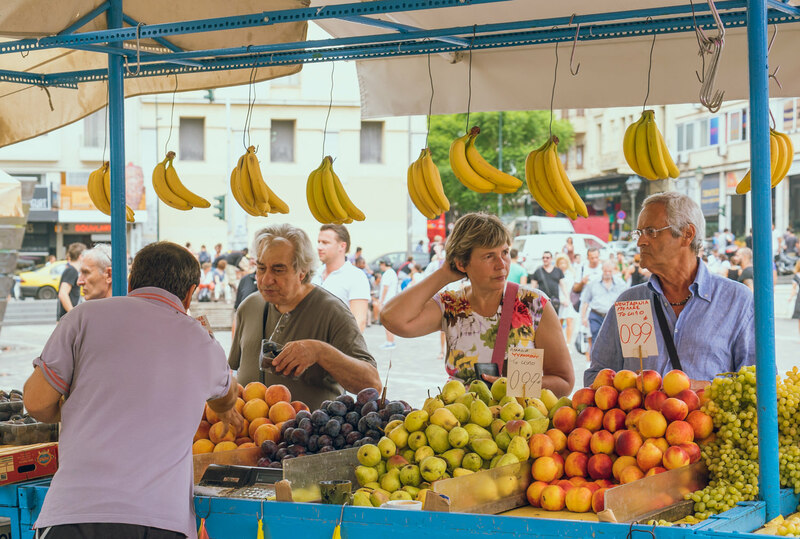 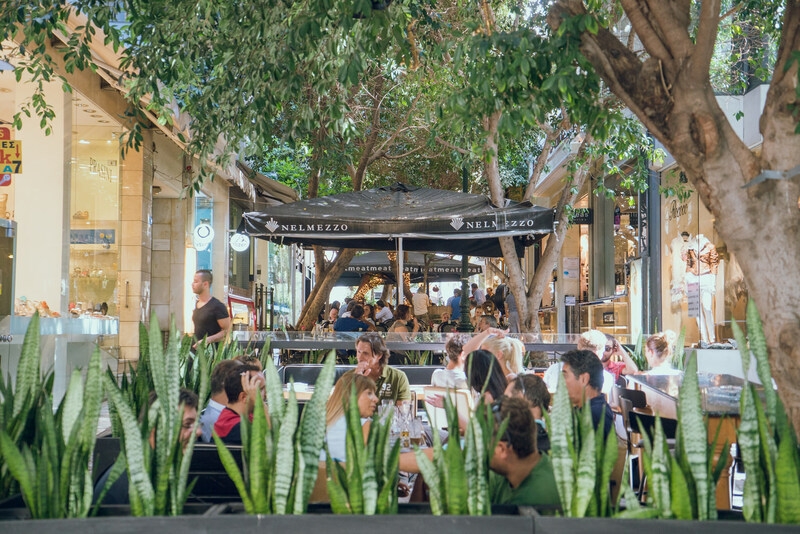 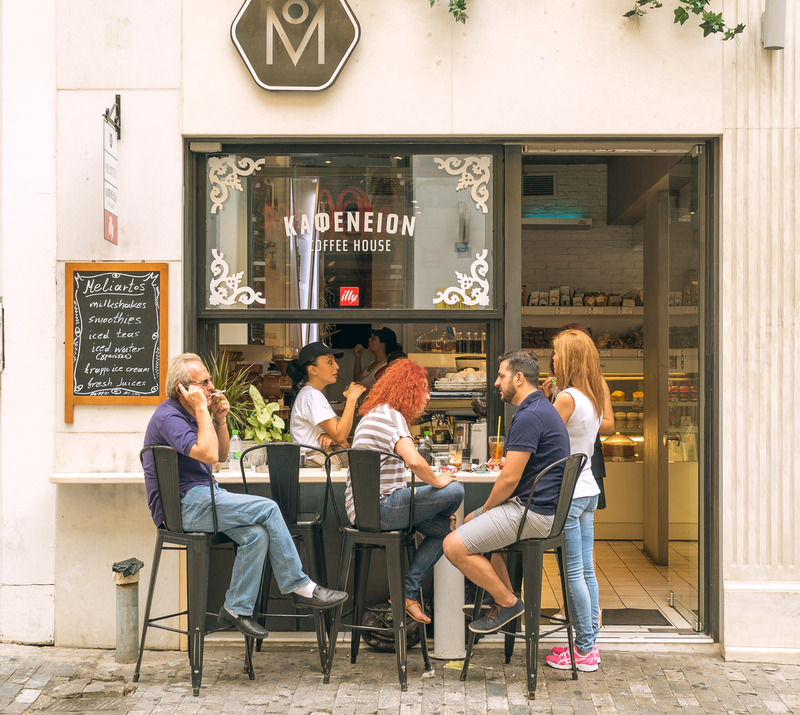 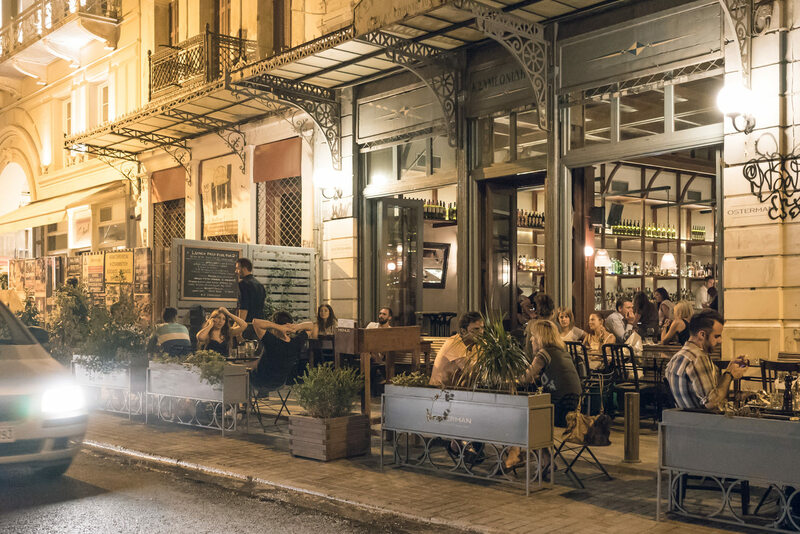 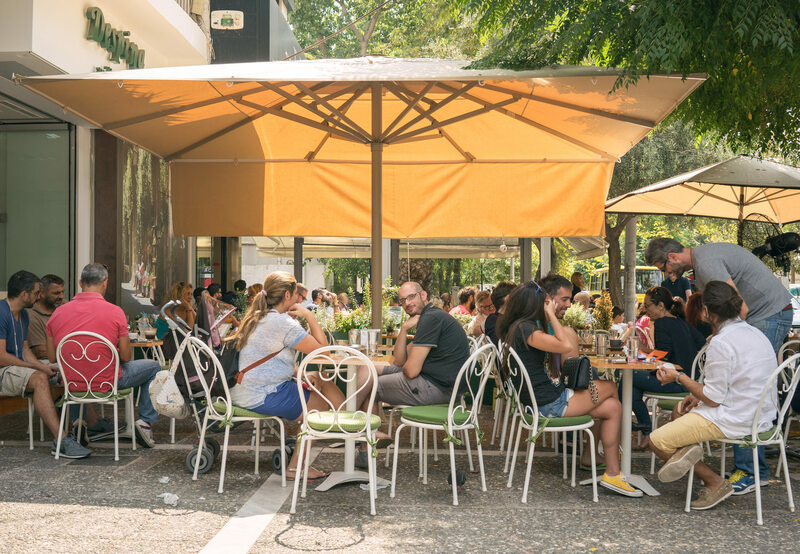 Some family friends took us out to Psyrri, a neighborhood near the Acropolis known for its younger crowd and abundance of lively bars and restaurants. 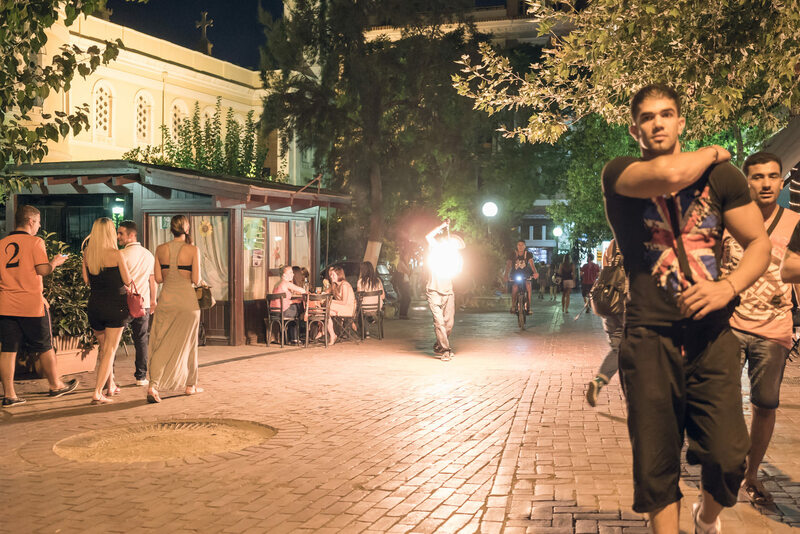 The relatively low light provided a great opportunity for high ISO night shooting with my Sony A7s. 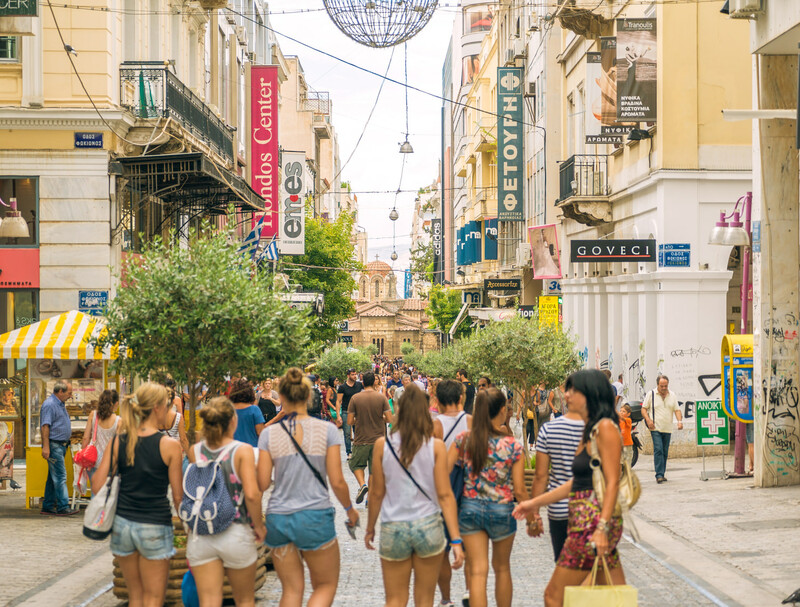 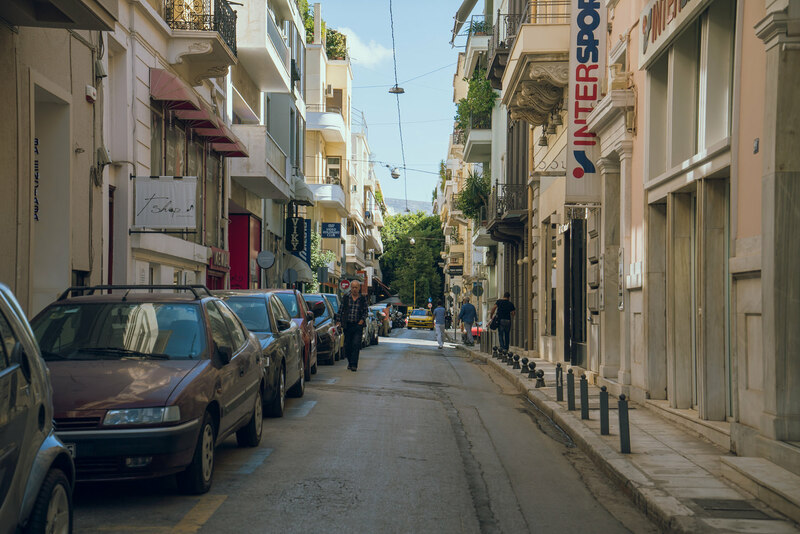 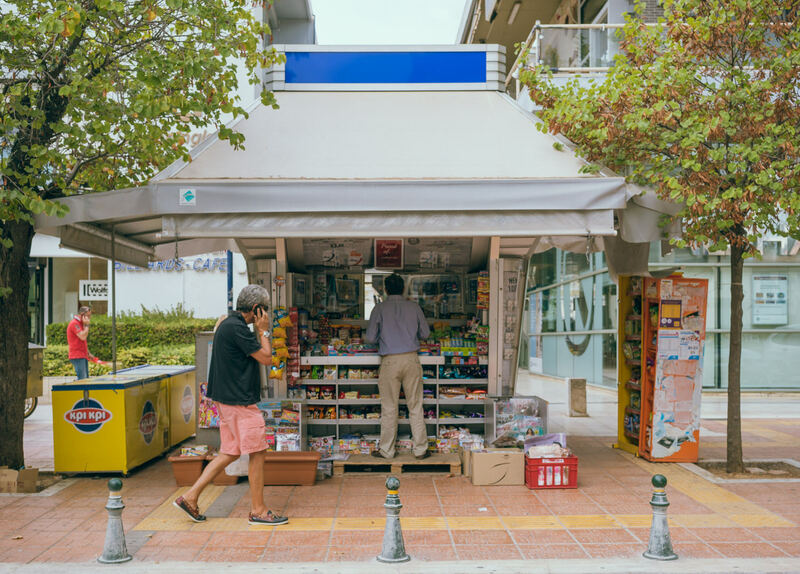 I had been wanting to stroll around Kifisia, a wealthy suburb and shopping district 15km northeast of central Athens, so we made it a stop on our last day in Athens. 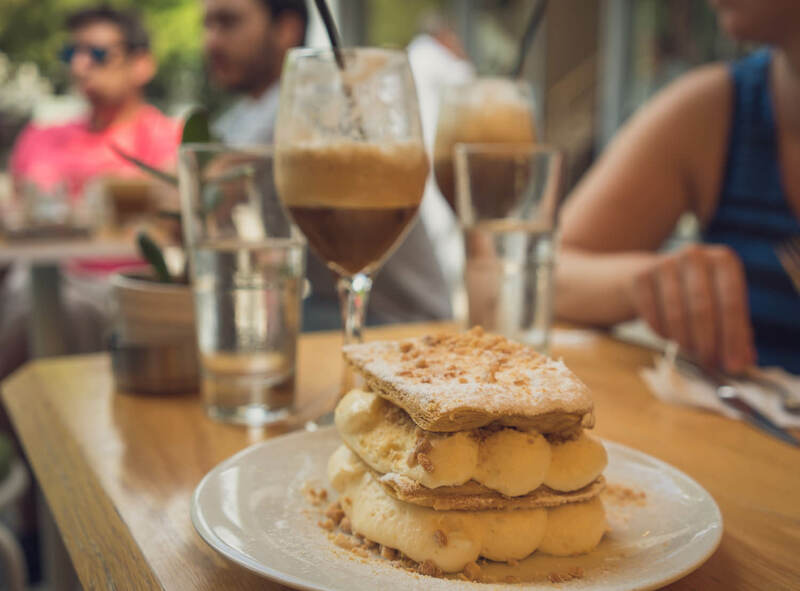 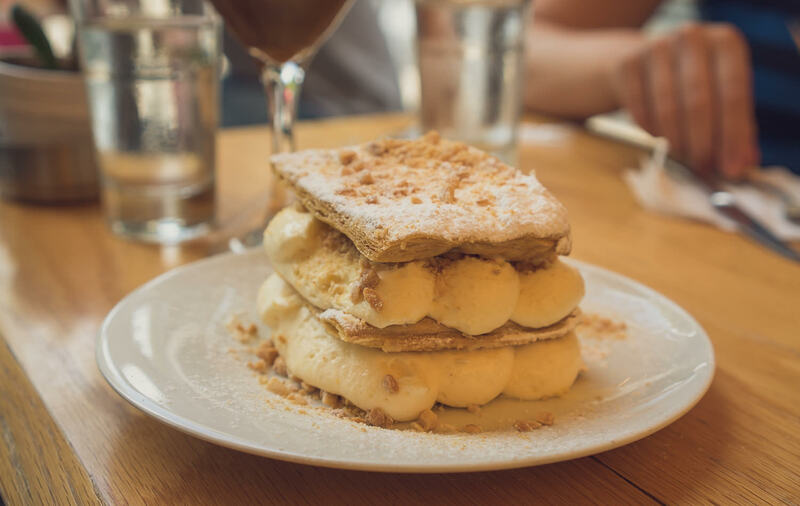 We bought some Greek books for our niece and nephew and enjoyed some French mille-feuille at a cafe. 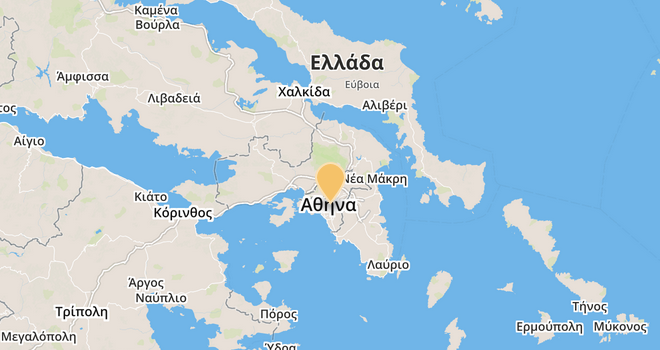 το τέλος. 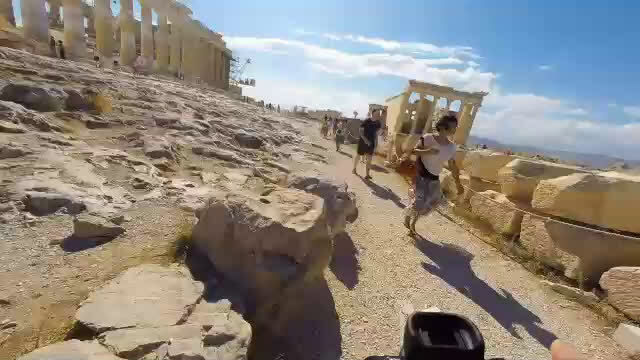 That concludes my trip to Greece! 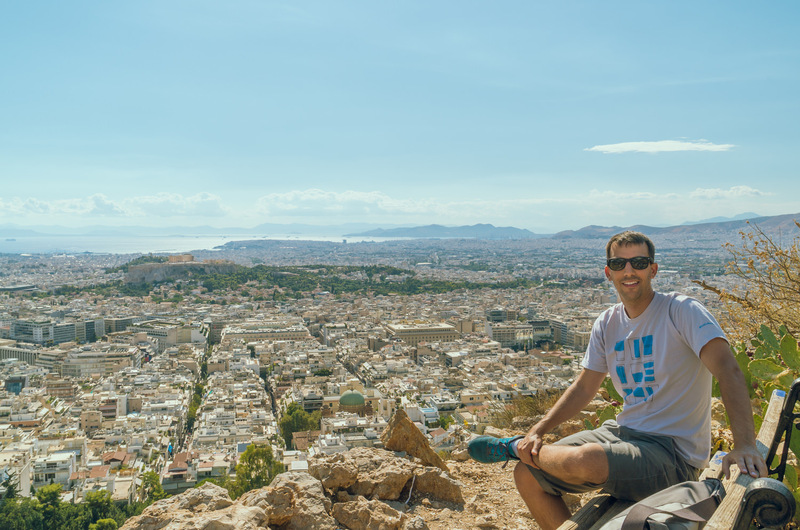 I only slightly scratched the surface of all there was to see, especially in Athens, but it was a great experience. 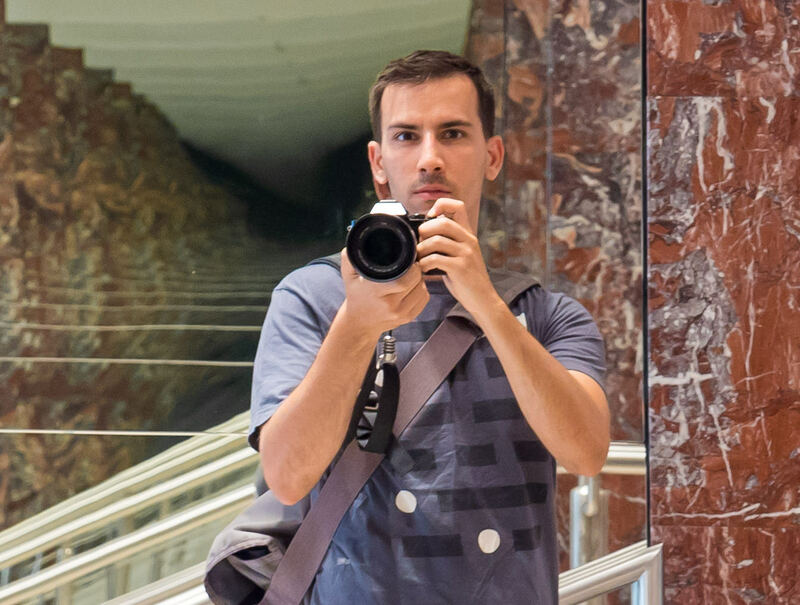 I caught a 6am flight to Zürich and then flew home to San Francisco. 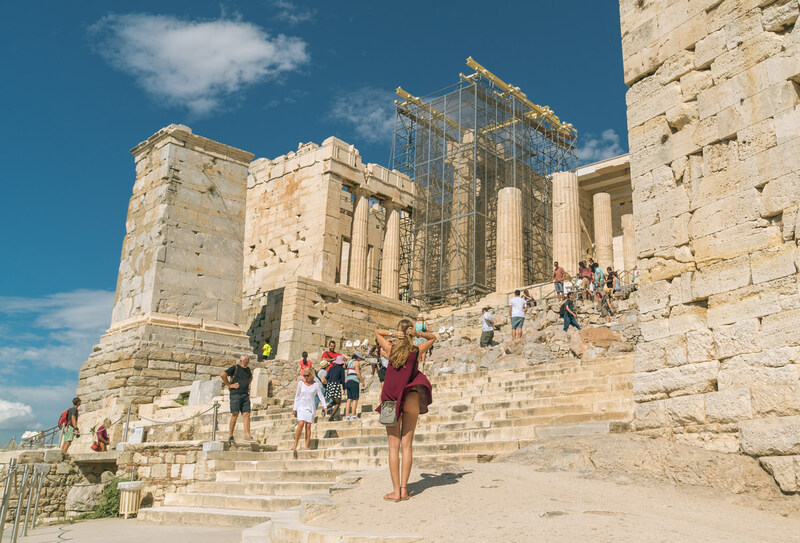 If you've been enjoying these photosets, please share them!